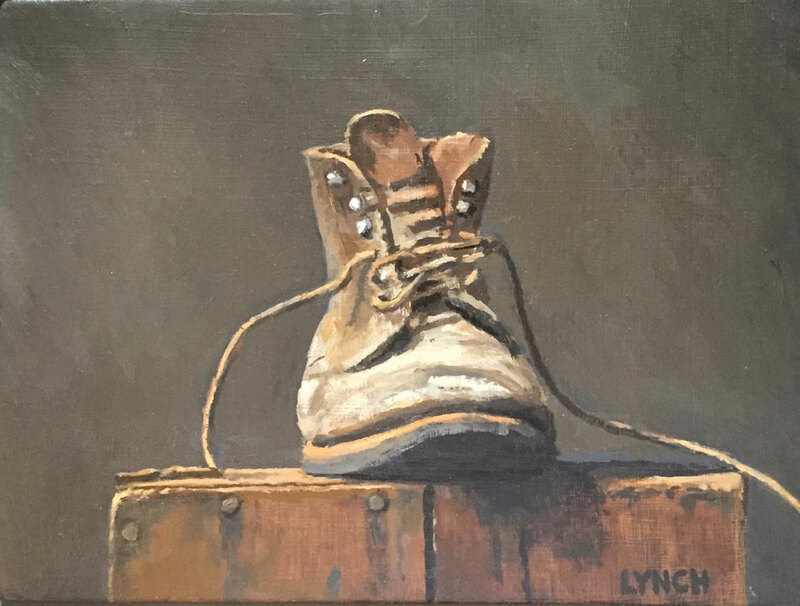 image: 12 x 9" | frame: 20 x 16"
Mike Lynch "The Coke Plant"
image: 11 x 17.5" | frame: 18.5 x 24.5"
Mike Lynch "Study for Nightwatchman"
image: 12 x 8.5" | frame: 15.5 x 11"
Mike Lynch "Skull Lit from Below (Global Warming)"
image: 12 x 9" | frame: 16 x 13"
Mike Lynch "Saturday, June 23, 1973"
image: 8 x 5" | frame: 12.5 x 9.5"
Mike Lynch "Itasca Oil Co."
image: 9 x 11.5" | frame: 13.5 x 18.5"
Mike Lynch "Duluth - Minnesota on Five Dollars a Day"
image: 9 x 6" | frame: 12.5 x 9.5"
image: 16 x 12" | frame: 20 x 16"
Mike Lynch "Night Train, Amsterdam"
image: 7.5 x 12" | frame: 15 x 18.5"
image: 9 x 12" | frame: 16.5 x 20.5"
image: 11 x 8" | frame: 15 x 12"
image: 11 x 9" | frame: 15 x 13"
Mike Lynch "Poster for Show at Martin Gallery"
image: 18 x 12" | frame: 19 x 13"
Mike Lynch "Poster for show at K-B Gallery"
image: 14.5 x 11" | frame: 15.5 x 12"
image: 9 x 12" | frame: 16 x 20"
image: 15.5 x 10" | frame: 19.5 x 14"
image: 7 x 9" | frame: 16 x 20"
Mike Lynch "Northern States Power"
image: 10 x 13.5" | frame: 16 x 20"
Mike Lynch "Northern States Power #2"
image: 14 x 10.5" | frame: 21 x 17"
image: 6.5 x 8" | frme: 13 x 13.5"
Mike Lynch "In the Park"
image: 6 x 7.5" | frame: 10 x 13"
Mike Lynch "Houses by the Tracks"
image: 7 x 9" | frame: 13 x 15"
Mike Lynch "Church & Houses"
image: 10 x 12.5" | frame: 17 x 19"
image: 9 x 11.5" | frame: 16.5 x 20.5"
image: 16 x 11" | frame: 20 x 16"
image: 8 x 13" | frame: 16 x 20"
image: 18.5 x 12" | frame: 24 x 18.5"
image: 10 x 6" | frame: 17 x 13"
image: 6.5 x 10.5" | frame: 12 x 16"
Mike Lynch "Oliver Mine Buildings"
image: 9 x 13.5" | frame: 16.5 x 20.5"
image: 11.5 x 17.5" | frame: 19 x 25"
image: 9.5 x 12" | frame: 17.5 x 19.5"
Mike Lynch "Night Shift Drawing"
image: 8.5 x 13.5" | frame: 16.5 x 20.5"
Mike Lynch "Landscape with Trees and a House"
image: 10.5 x 13.5" | frame: 17 x 21"
Mike Lynch "I.D.S. 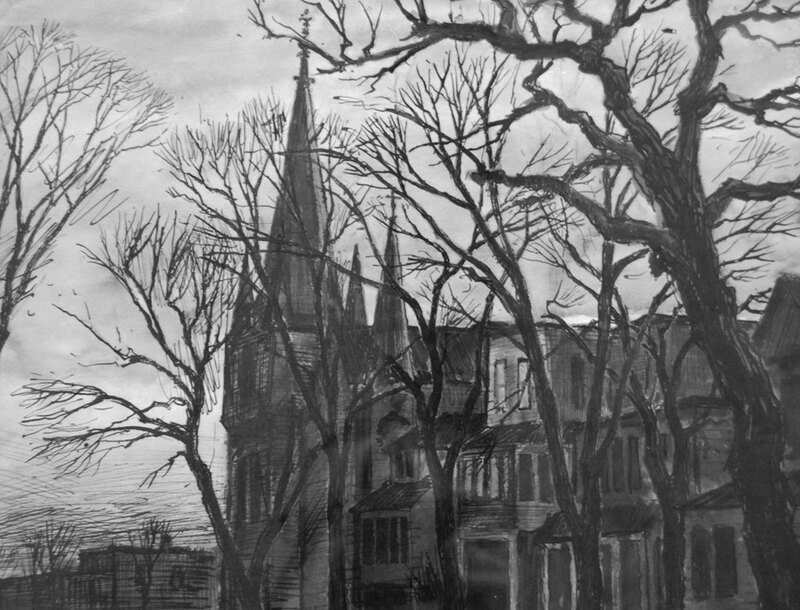 Tower Study"
image: 13.5 x 9" | frame: 21.5 x 16"
image: 14 x 9" | frame: 20 x 16"
Mike Lynch "Church & Trees"
image: 10 x 13.5" | frame: 17 x 20"
Mike Lynch "West of Meadowlands"
image: 3.5 x 6.5" | framel: 8.5 x 11.5"
image: 6 x 13" | frame: 16 x 20"
Mike Lynch "View from Third Avenue Bridge"
image: 11 x 17.5" | frame: 24 x 17.5"
image: 9 x 12" | frame: 13 x 16"
image: 7 x 11" | frame: 13.5 x 17.5"
Mike Lynch "Self Portrait with Hat"
image: 14 x 12" | frame: 18 x 15"
Mike Lynch "Rooms & Apts"
image: 5 x 7.5" | framed: 10 x 13"
Mike Lynch "Railroad Yards at Night"
image: 7 x 11.5" | frame: 15 x 18.5"
image: 6.5 x 9" | frame: 16.5 x 20.5"
image: 9 x 6" | frame: 12.5 x 9"
Mike Lynch "Night Watchman - drawing"
image: 8 x 10" | frame: 12 x 13.5"
Mike Lynch "Nightwatchman (Pop at the Mine)"
image: 8 x 10" | frame: 17 x 21"
image: 9 x 14" | frame: 16.5 x 20.5"
image: 9 x 15" | frame: 16.5 x 20.5"
image: 13.5 x 10.5" | frame: 16 x 20"
Mike Lynch "Houses and Trees by the Lake Street Railroad Tracks"
image: 12 x 16" | frame: 20 x 23"
image: 10 x 17" | frame: 18 x 24"
Mike Lynch "House by the Road"
Mike Lynch "Girl in the Doorway"
image: 5 x 2.5" | frame: 11 x 8"
Mike Lynch "Evening Landscape with Trees"
image: 16 x 20" | frame: 21 x 25"
image: 9.5 x 8.5" | frame: 13.5 x 12.5"
Opening Reception: Saturday, January 20, 2-5 p.m.
Groveland Gallery is honored to present a retrospective exhibition of work by one of Minnesota’s best known artists, Mike Lynch. 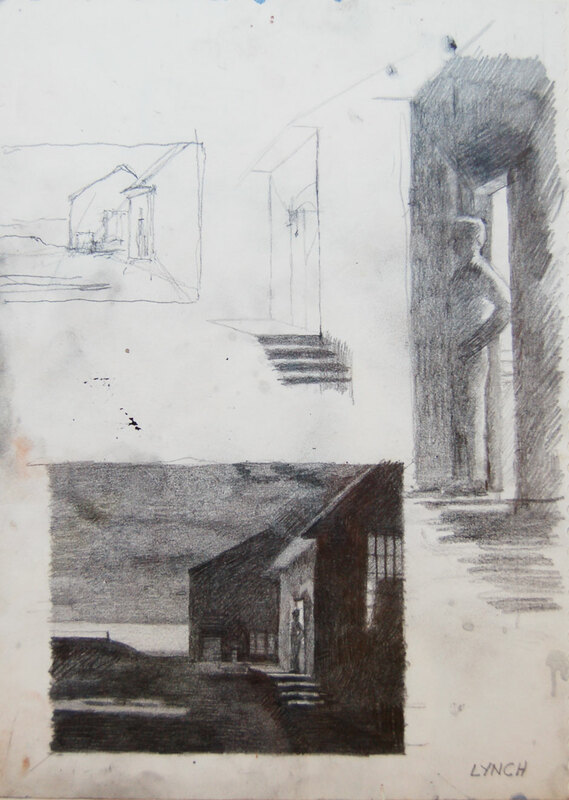 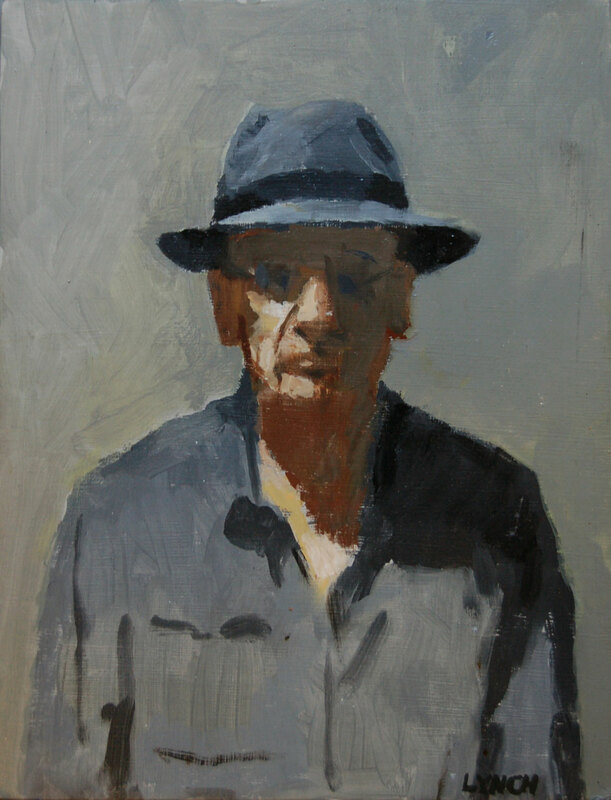 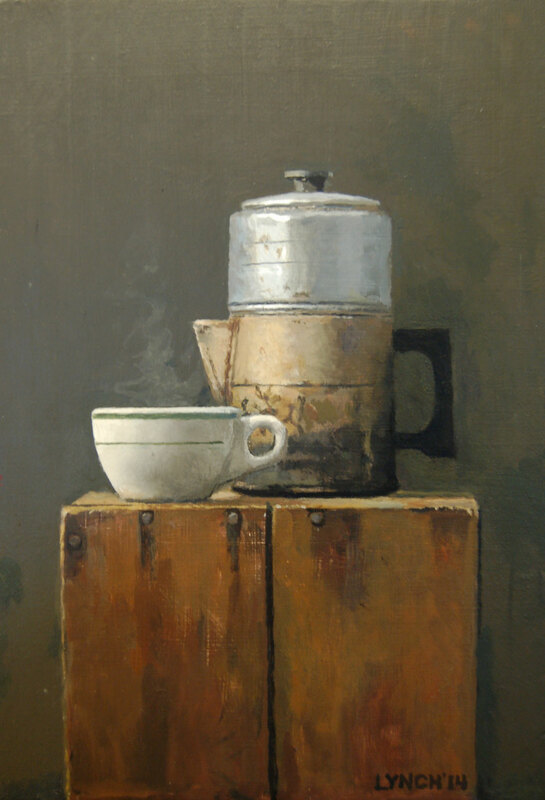 The exhibition will feature a wide range of work spanning his sixty-year career. 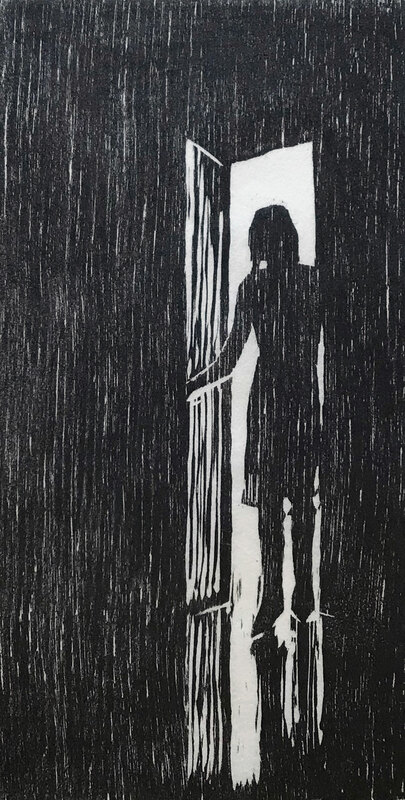 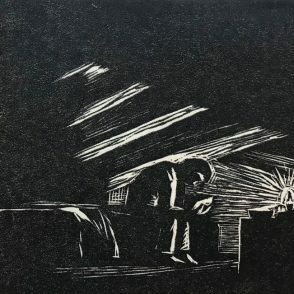 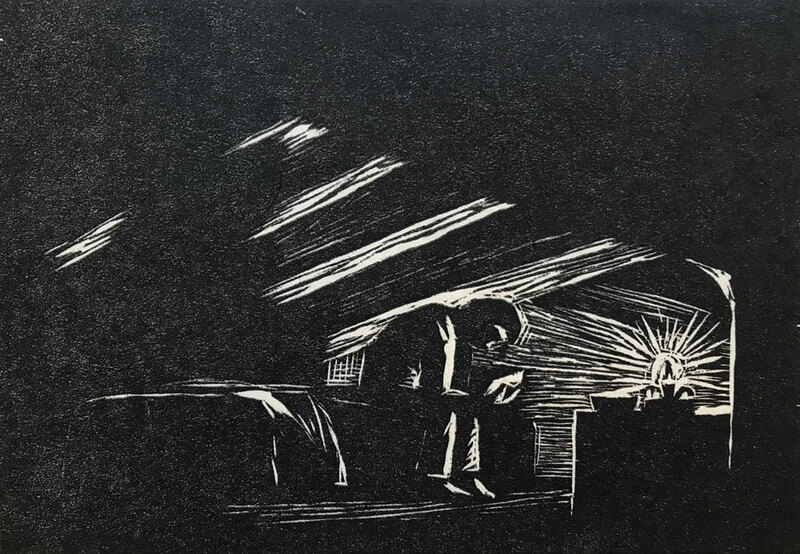 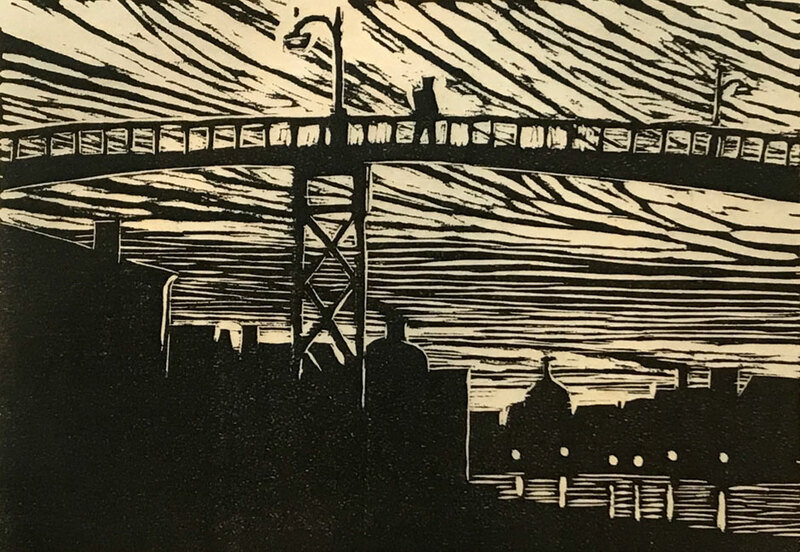 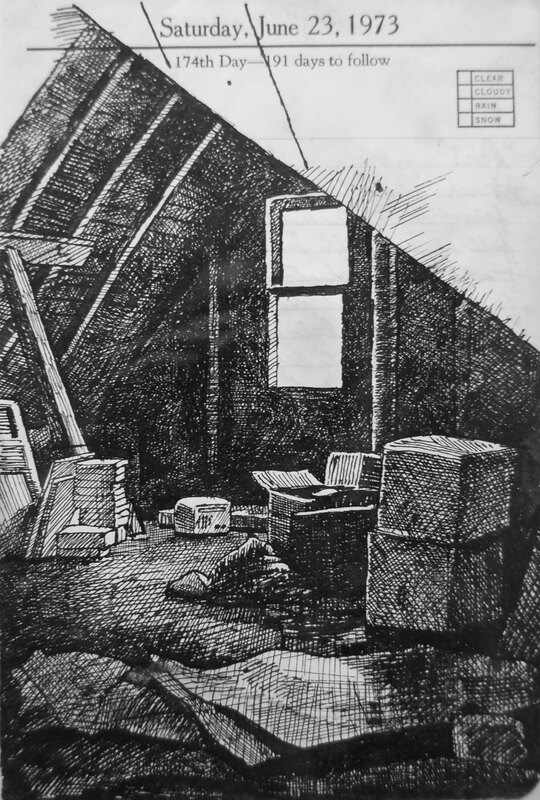 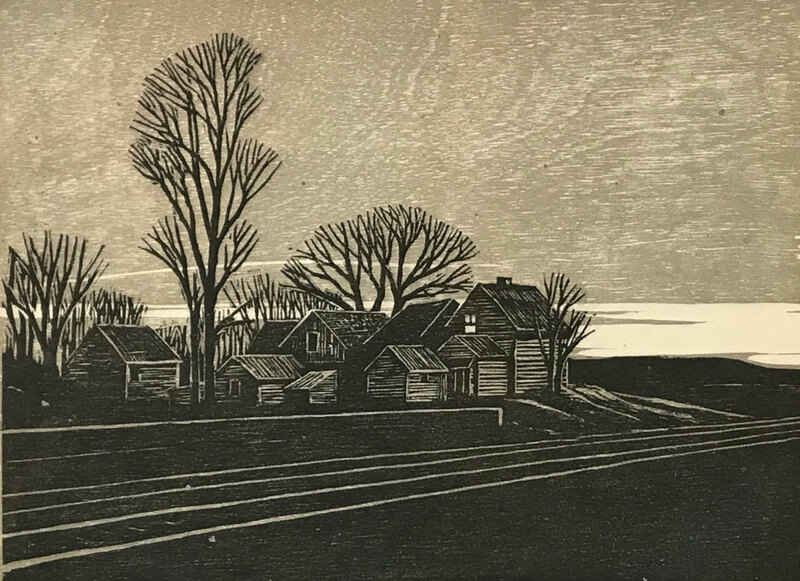 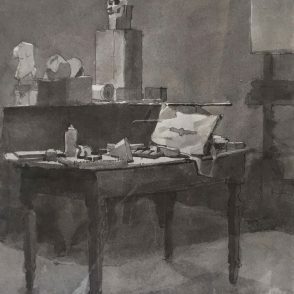 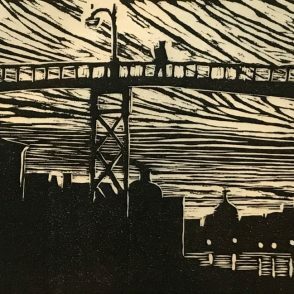 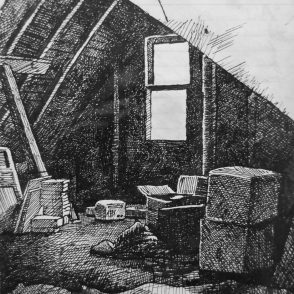 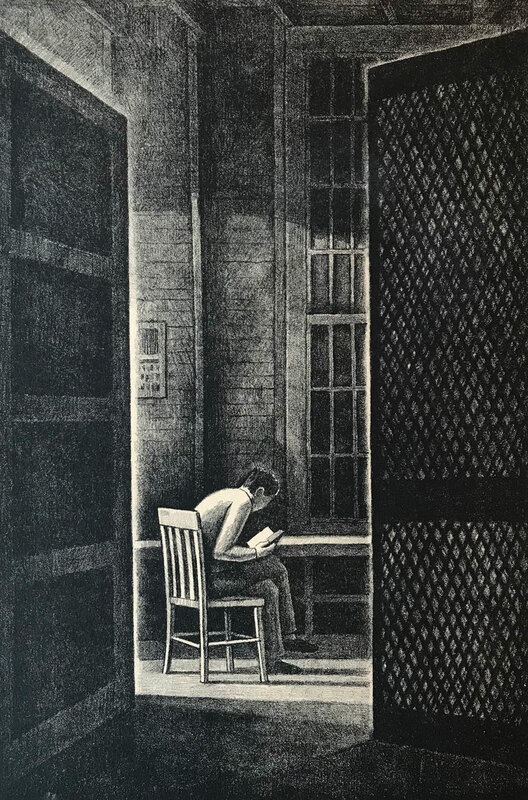 Woodcut prints and drawings from the 1960’s; lithographs from the 70’s and 80’s; ink drawings, watercolors and oil paintings from 1955 to the present will be included in the exhibit. 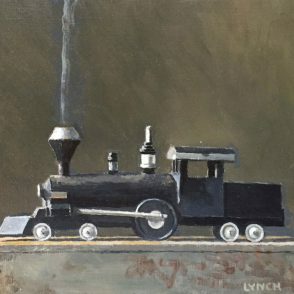 A true son of Minnesota, Mike Lynch was born in 1938 in Hibbing where his father was a mine watchman. 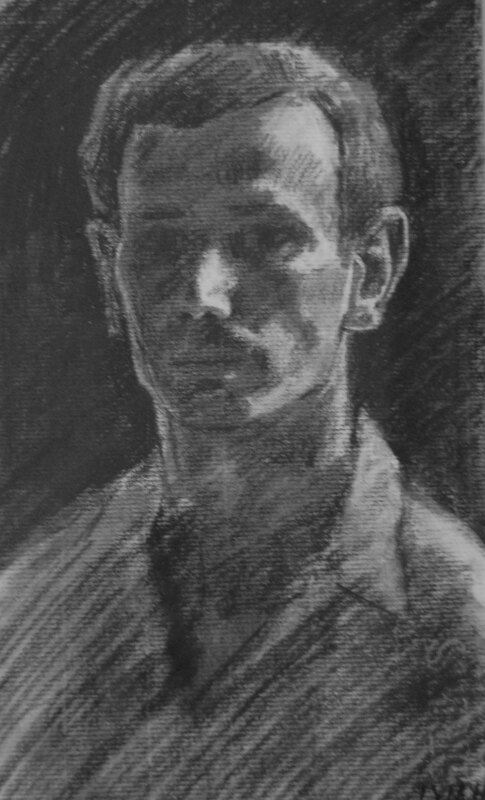 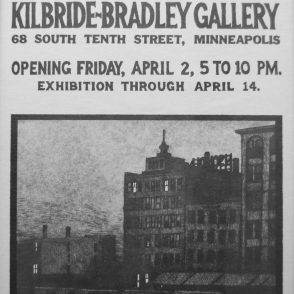 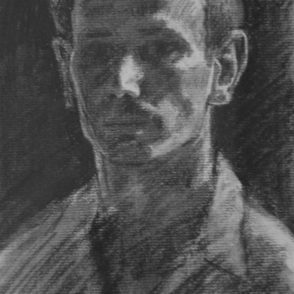 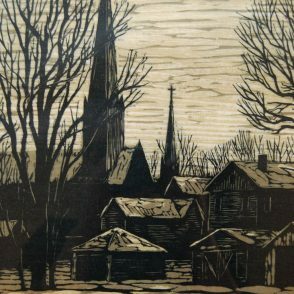 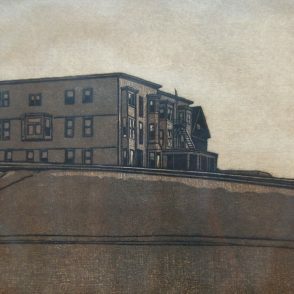 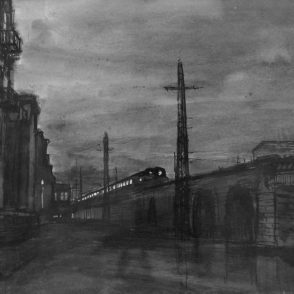 He studied art at the Town Hall Art Colony in Grand Marais and then attended the Minneapolis School of Art (now MCAD). 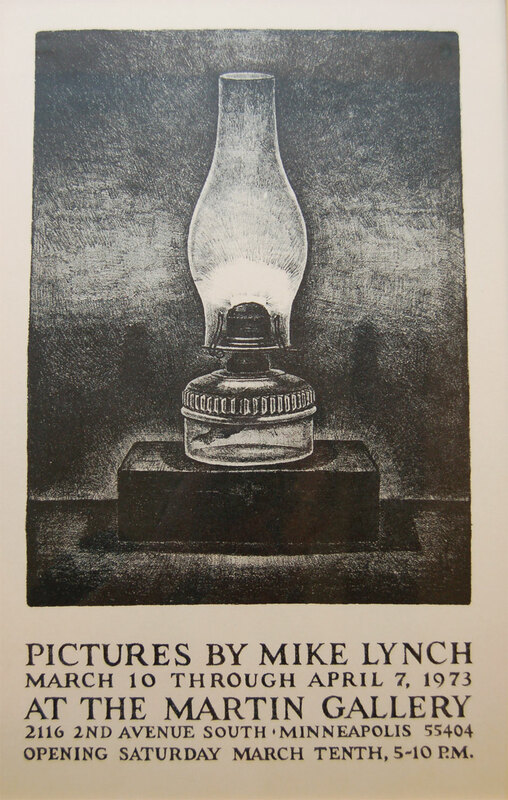 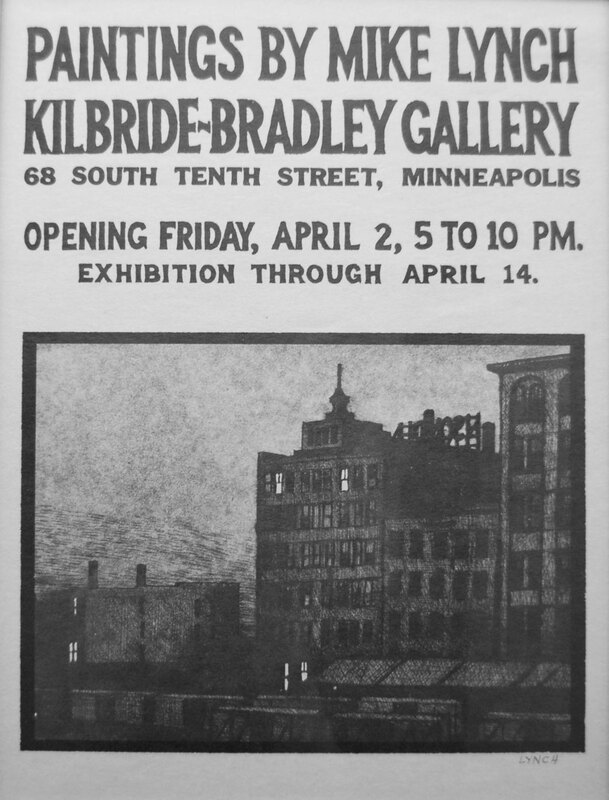 In 1960, Lynch launched his career with a solo exhibition at the Kilbride-Bradley Gallery. 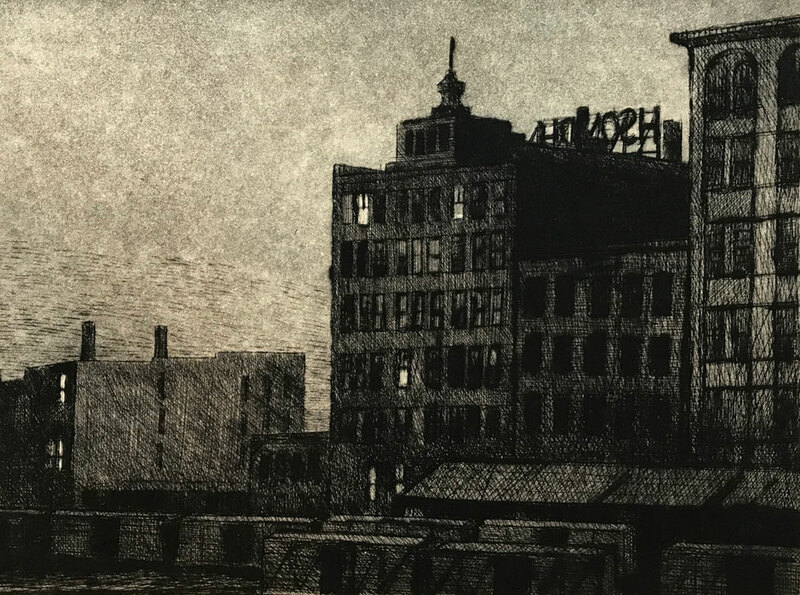 Throughout the fifty-plus years since, Mike has received numerous grants and fellowships including the Bush Fellowship, Minnesota State Arts Board Fellowships and the prestigious McKnight Foundation Distinguished Artist Award in 2003. 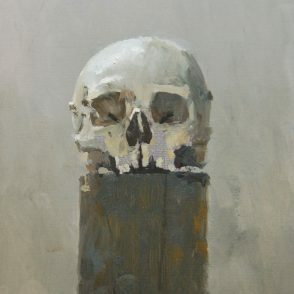 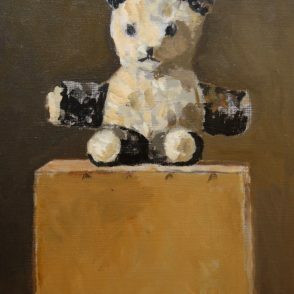 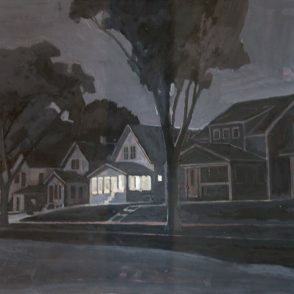 He has exhibited at the Minnesota Museum of American Art, Minneapolis Institute of Arts, Duluth Art Institute, Walker Art Center and numerous galleries. 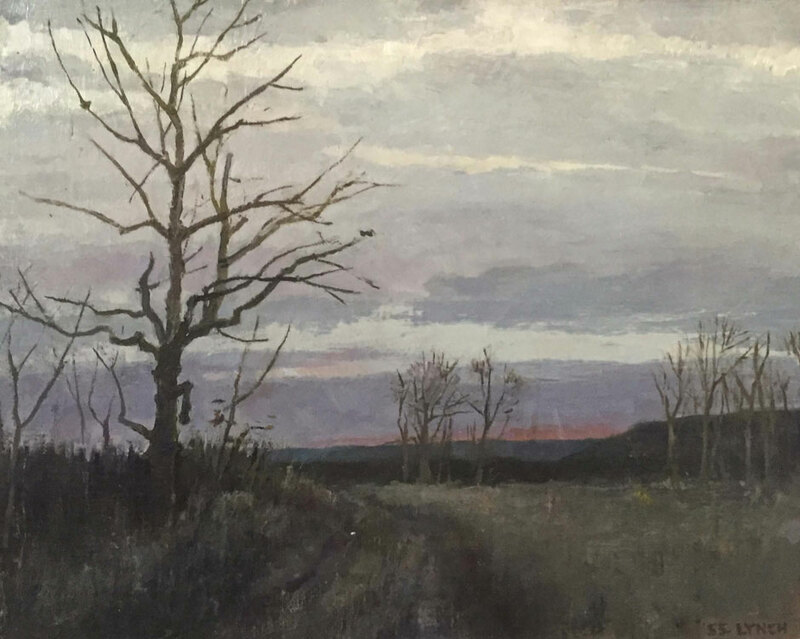 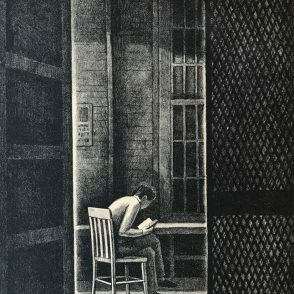 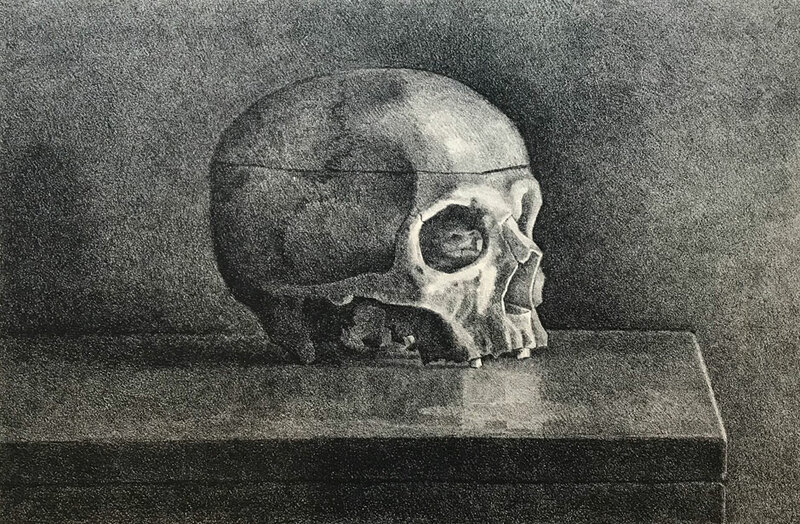 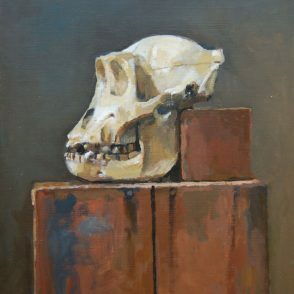 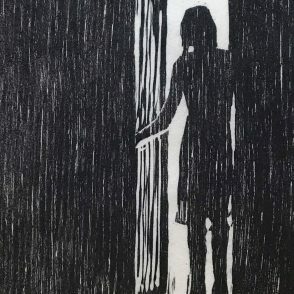 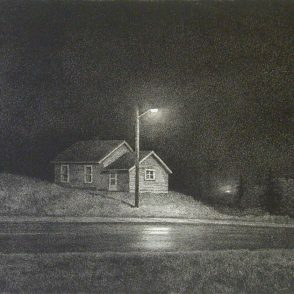 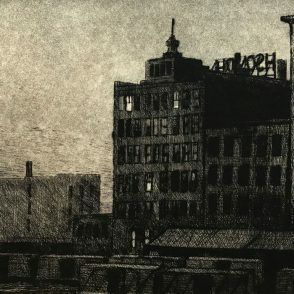 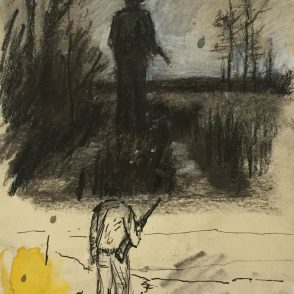 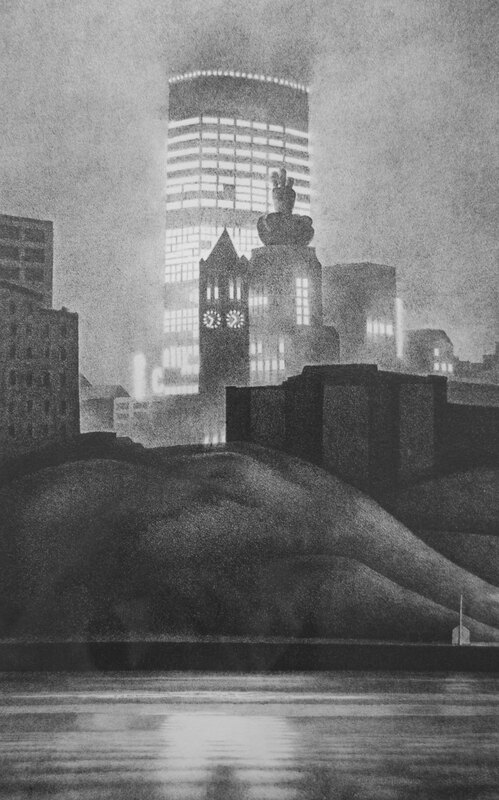 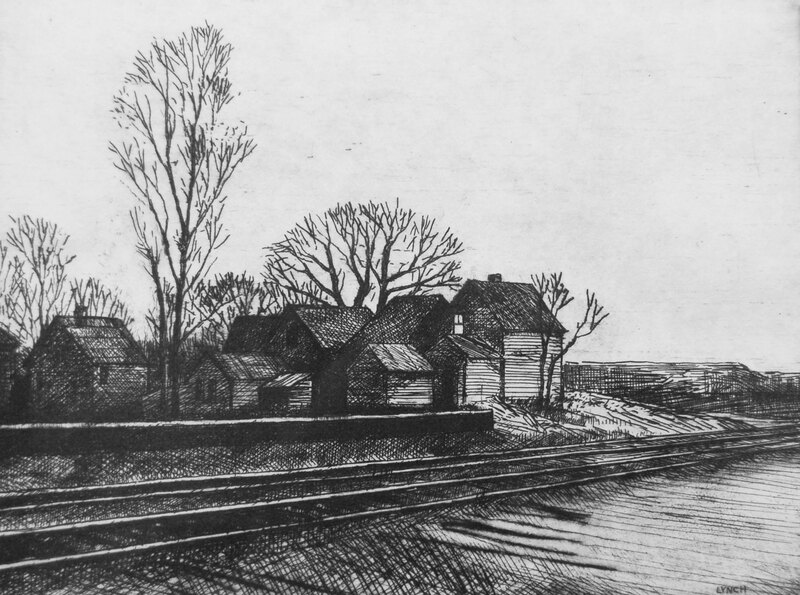 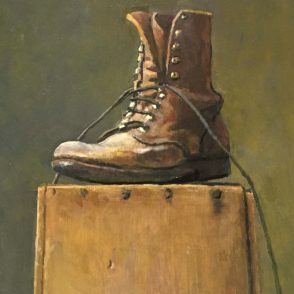 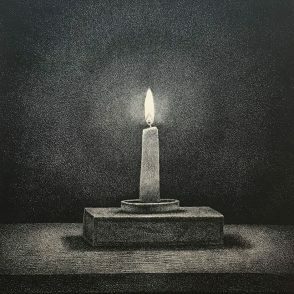 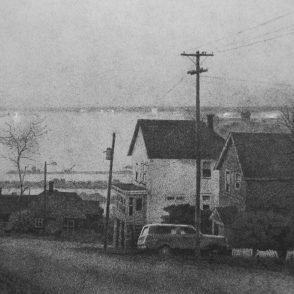 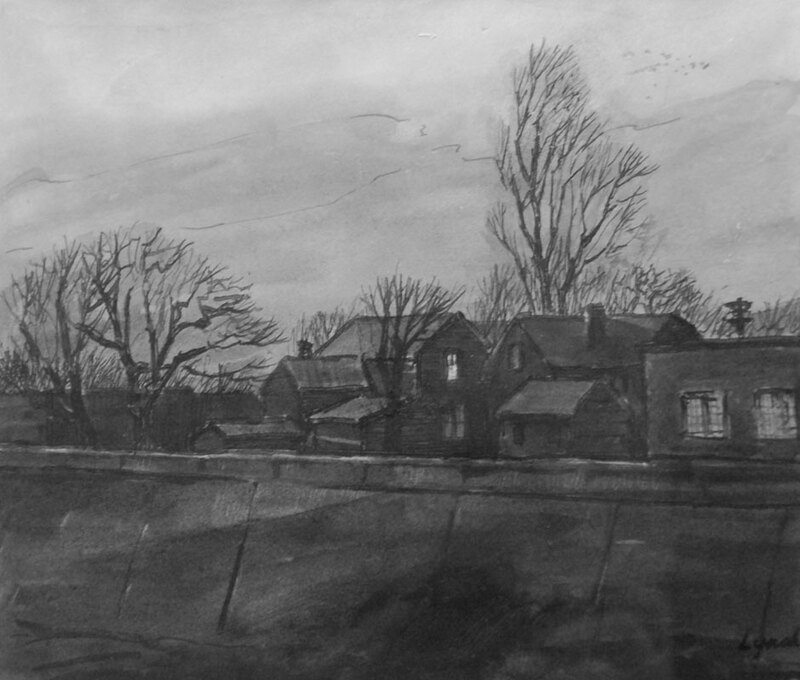 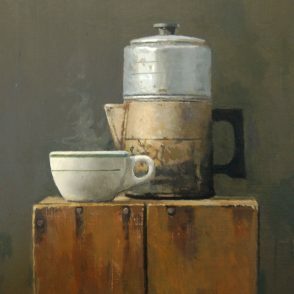 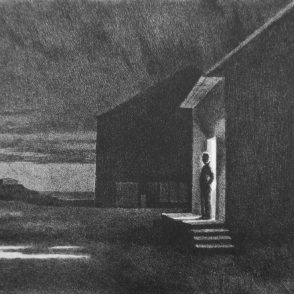 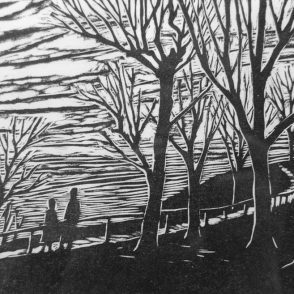 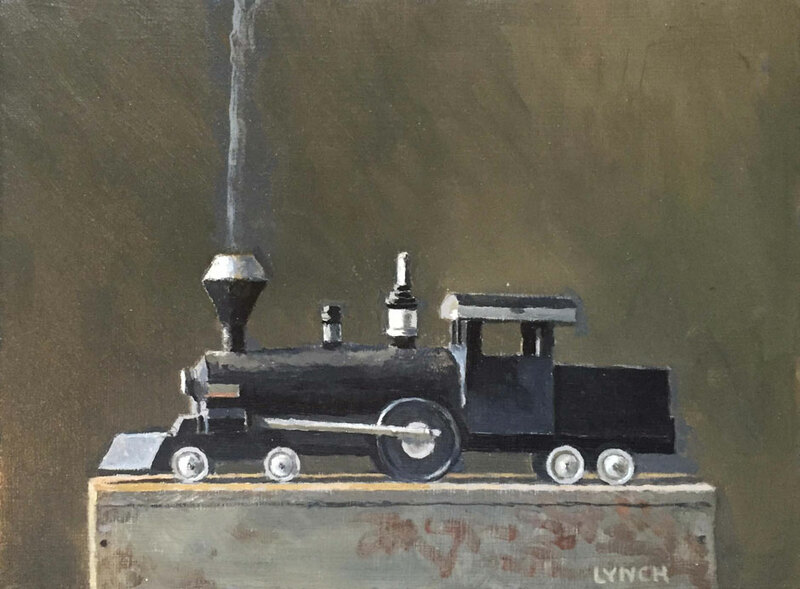 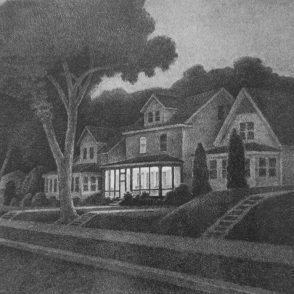 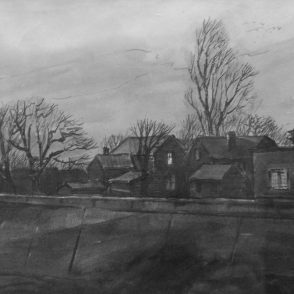 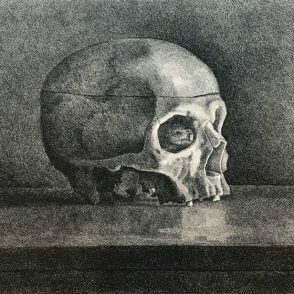 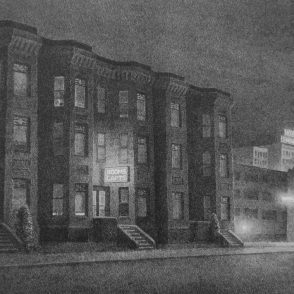 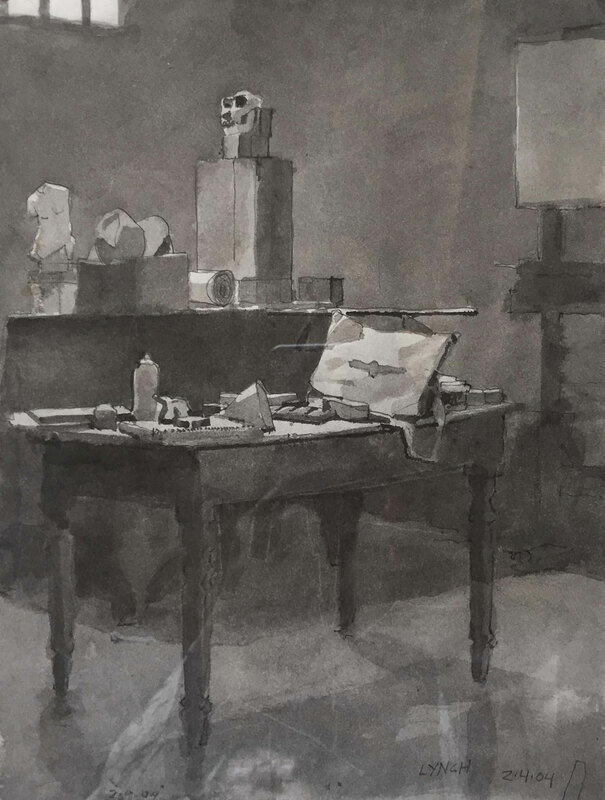 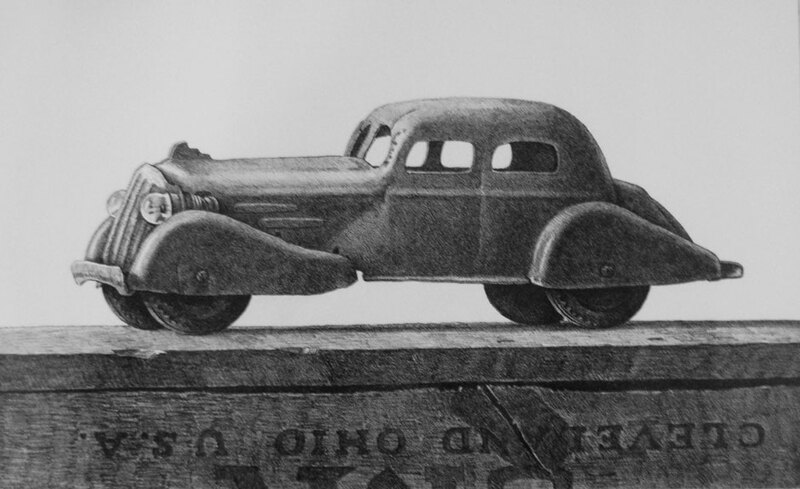 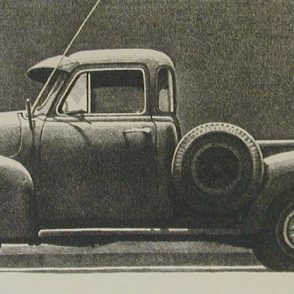 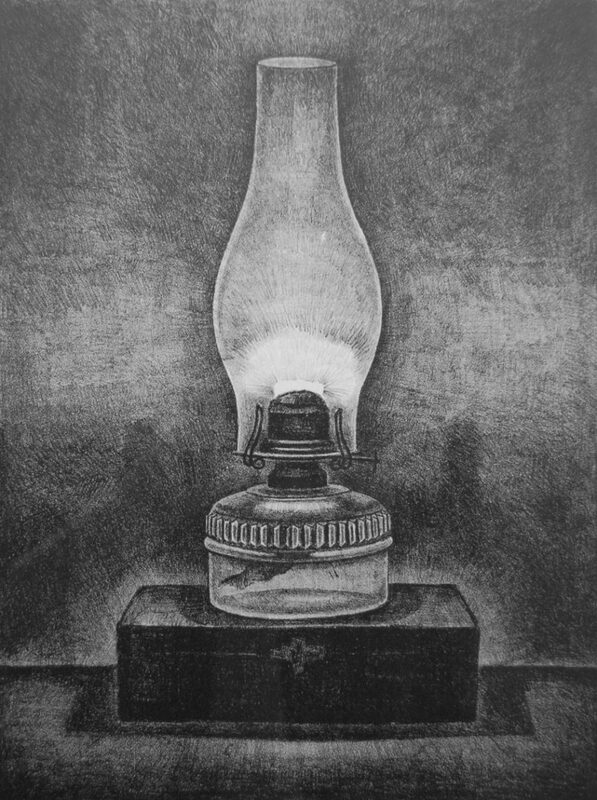 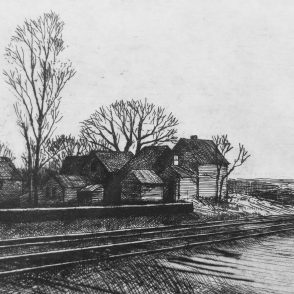 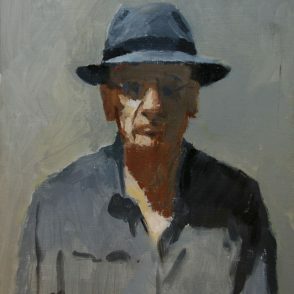 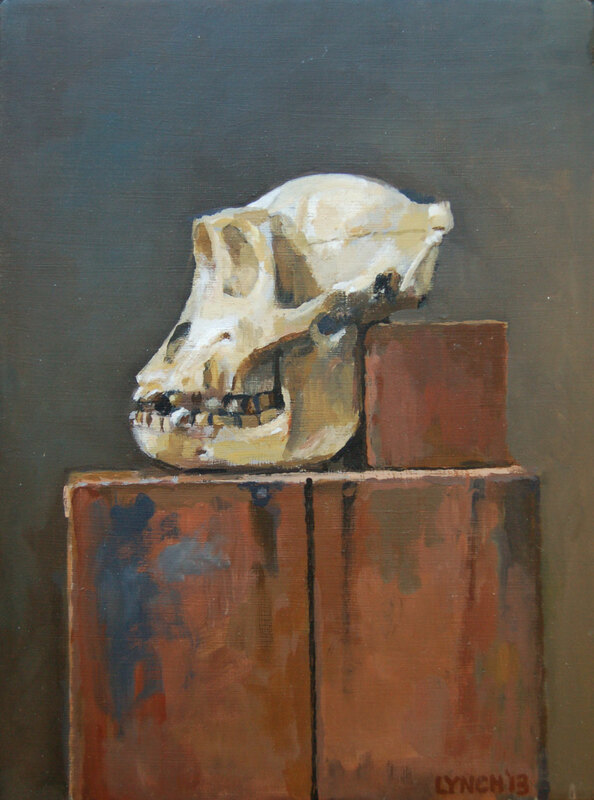 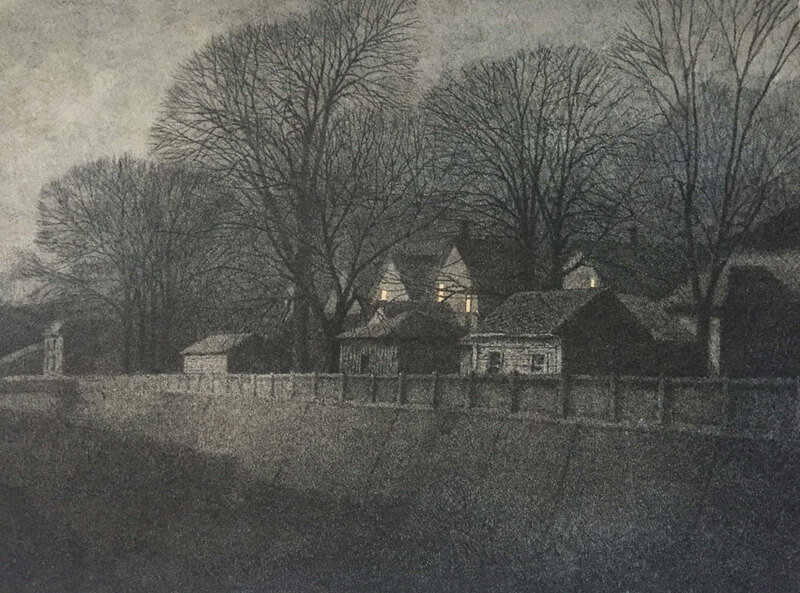 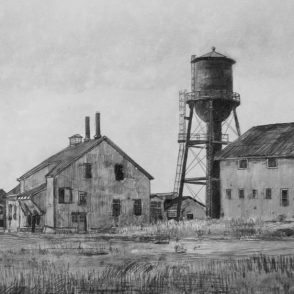 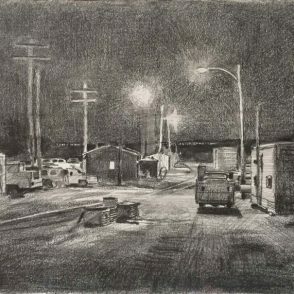 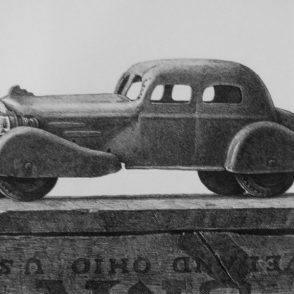 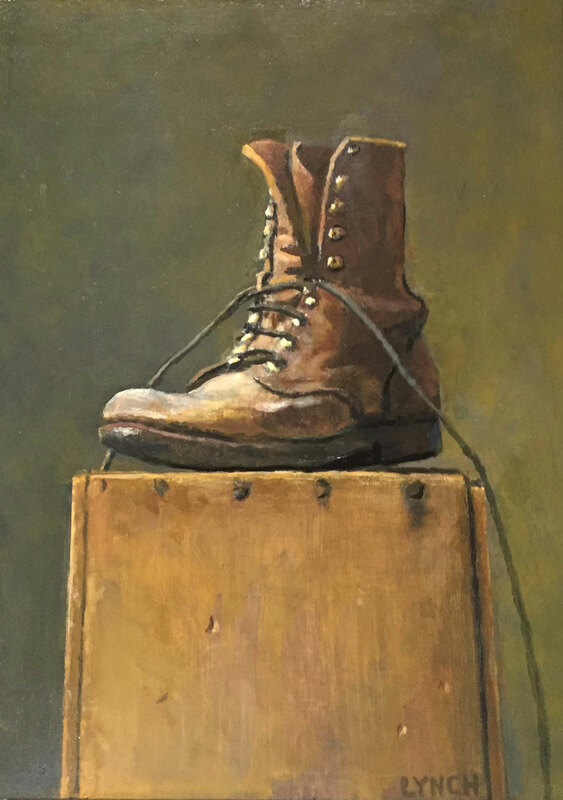 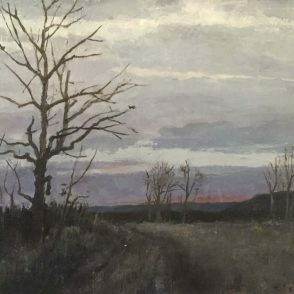 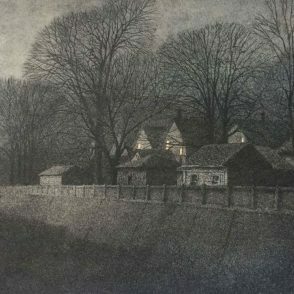 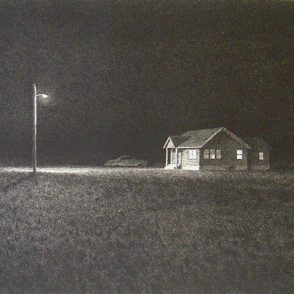 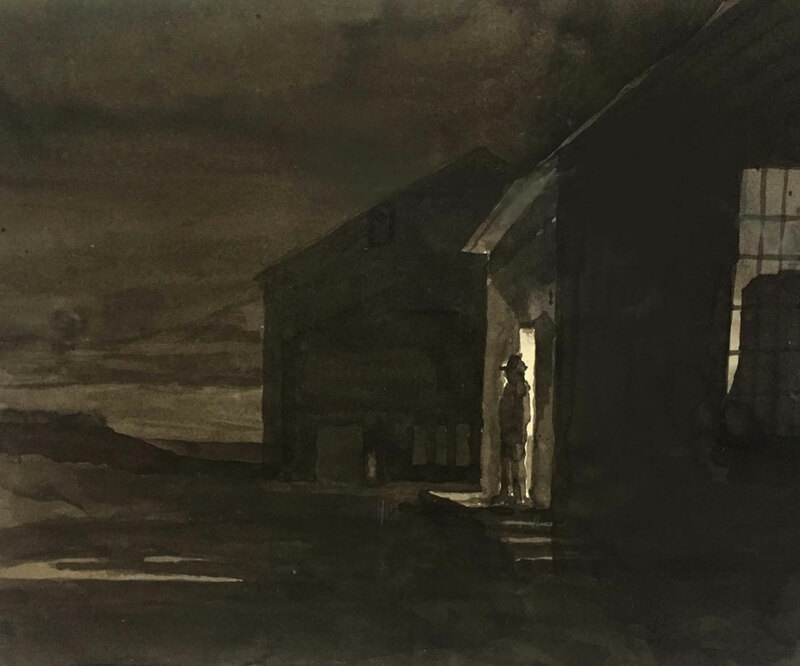 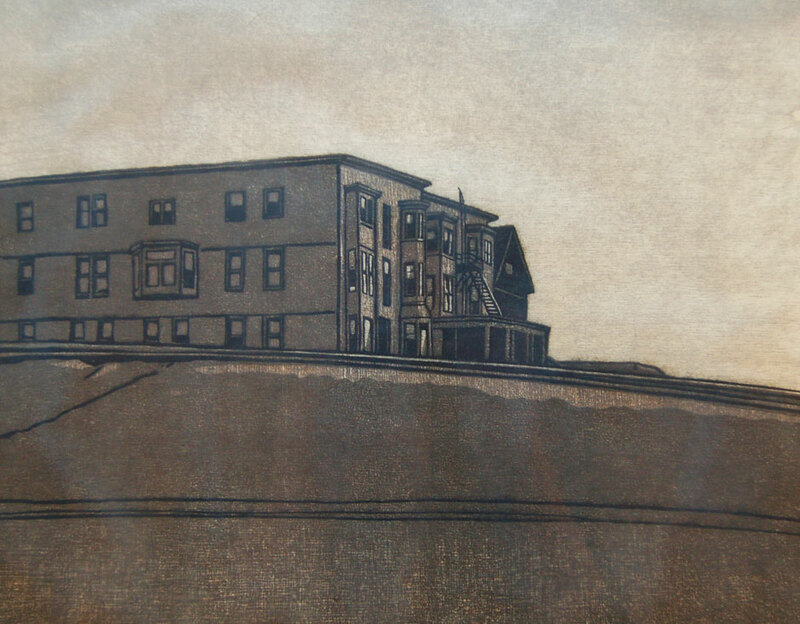 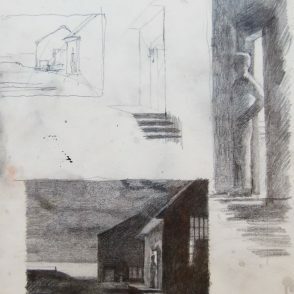 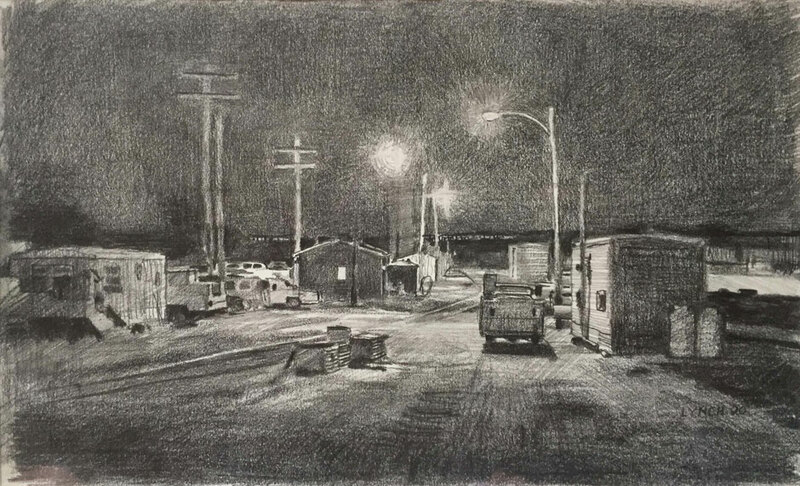 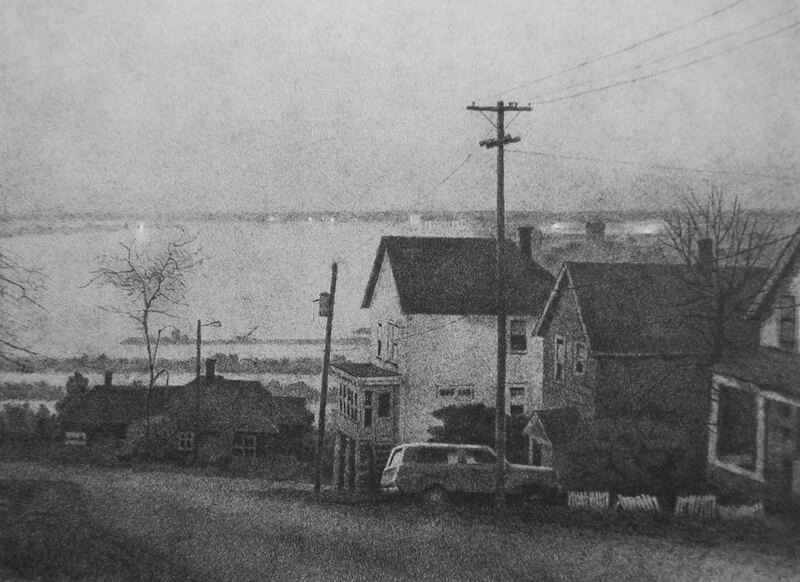 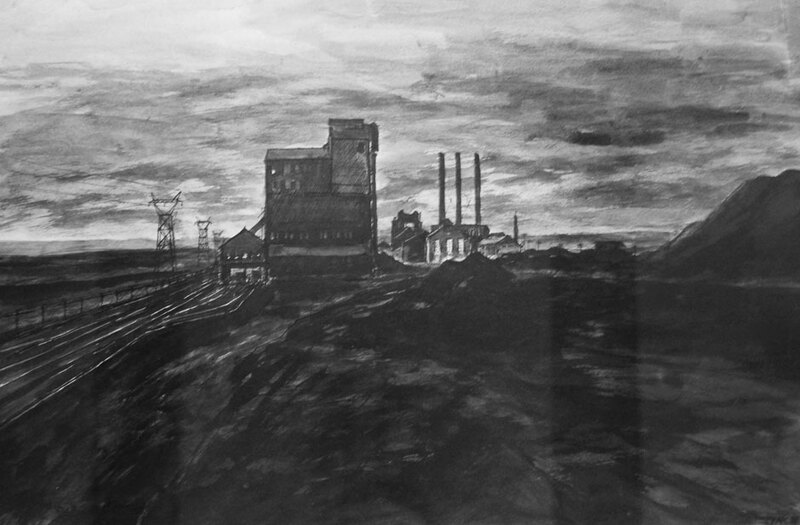 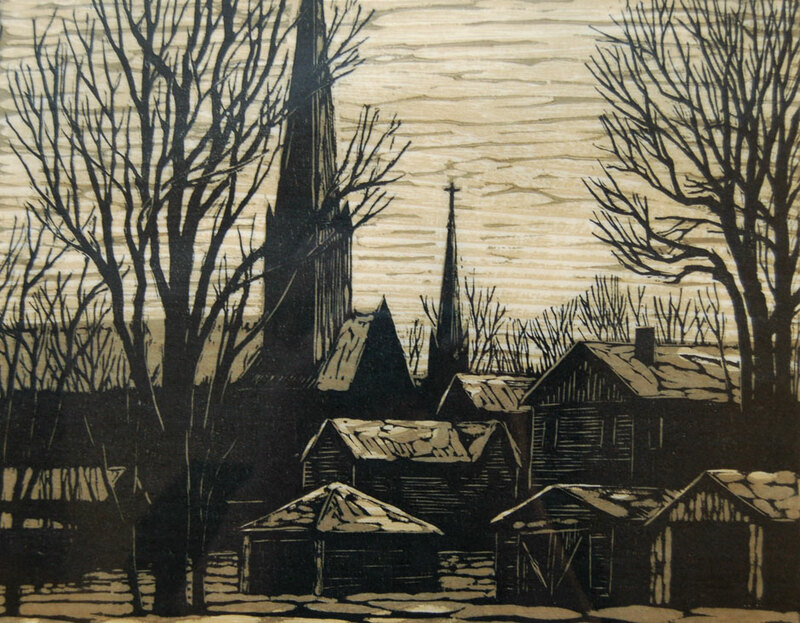 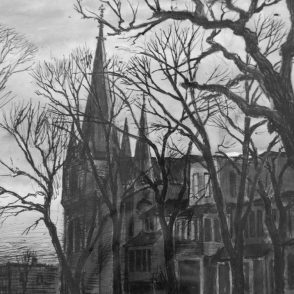 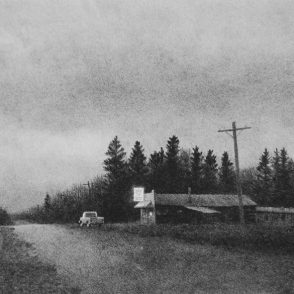 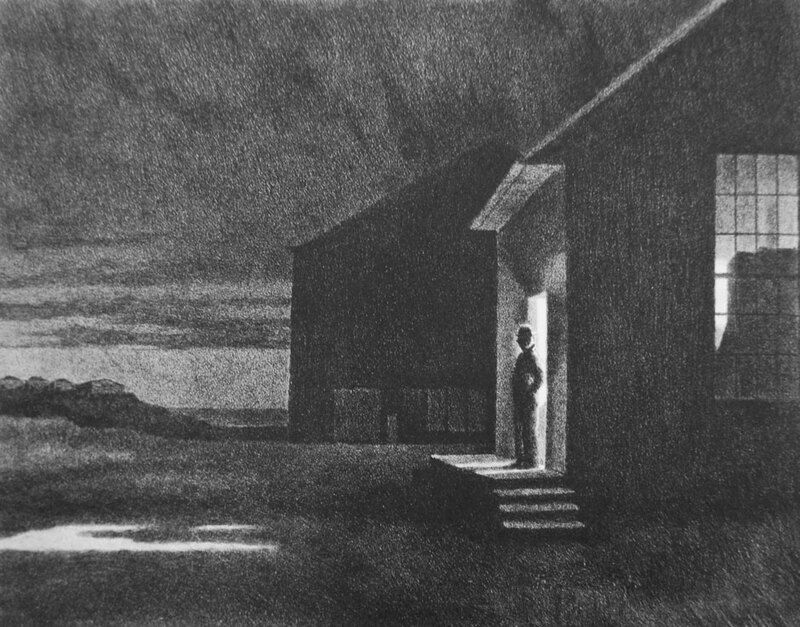 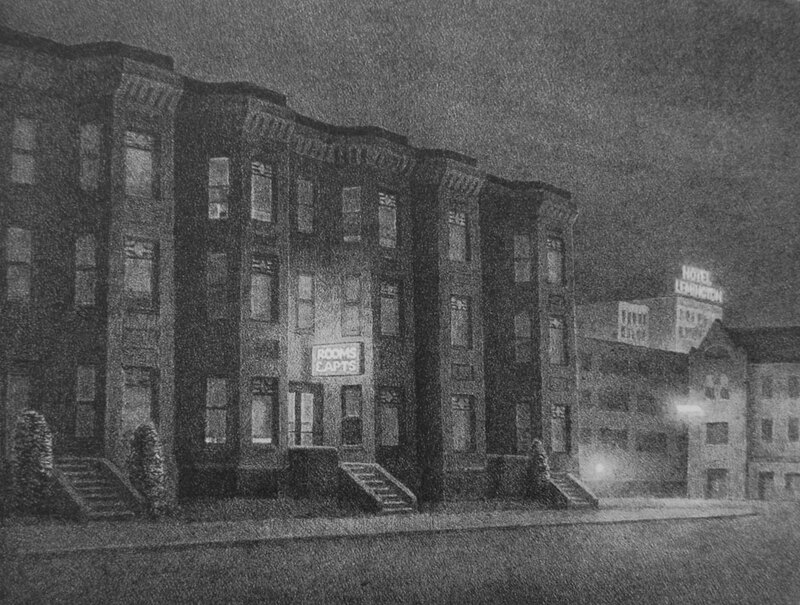 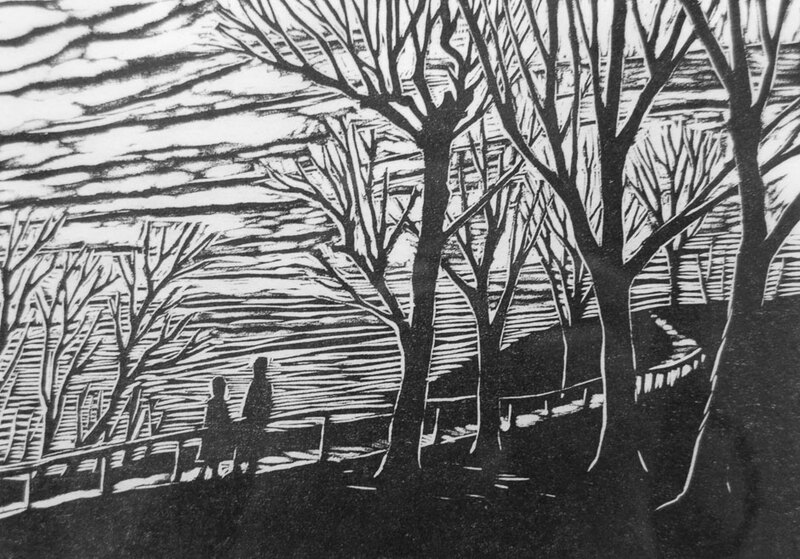 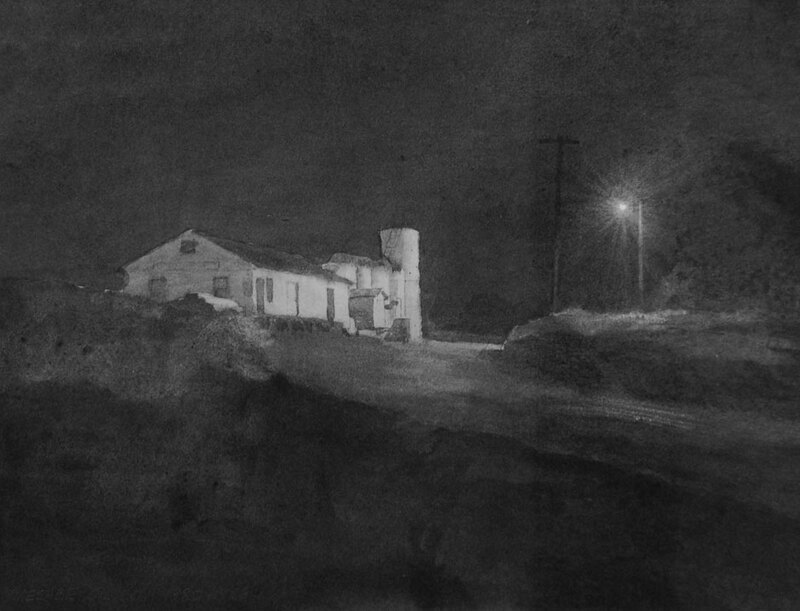 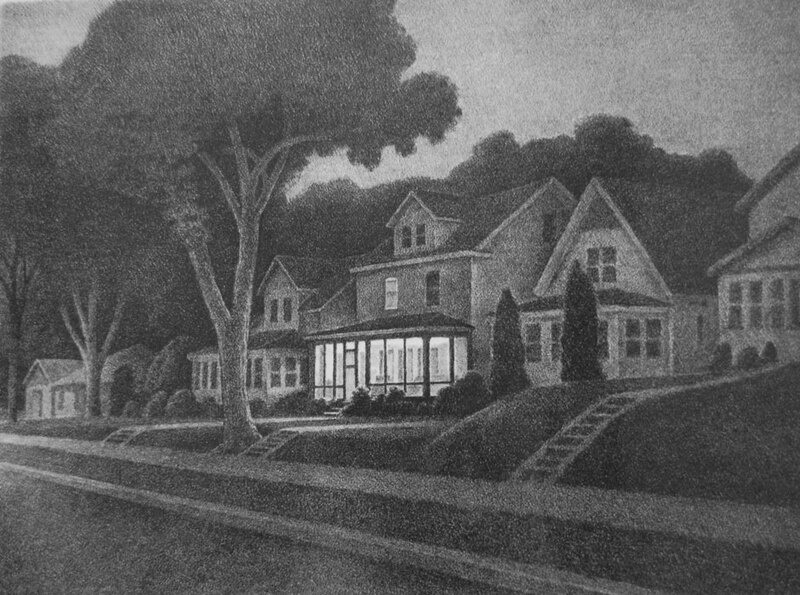 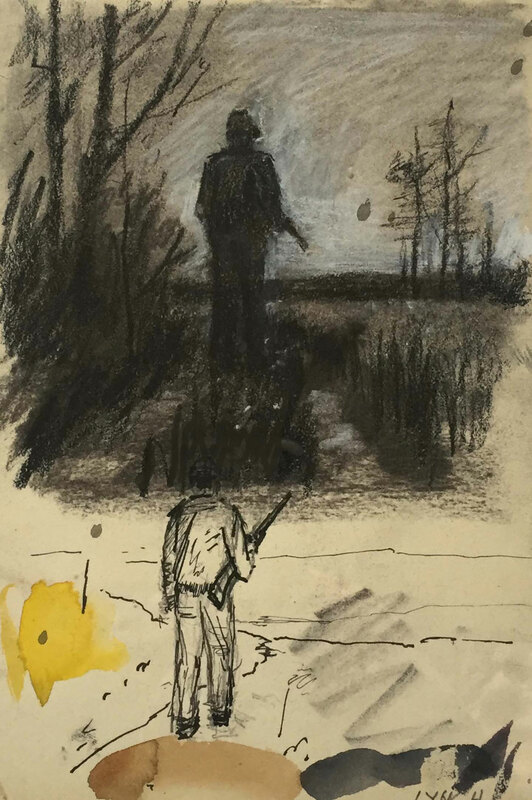 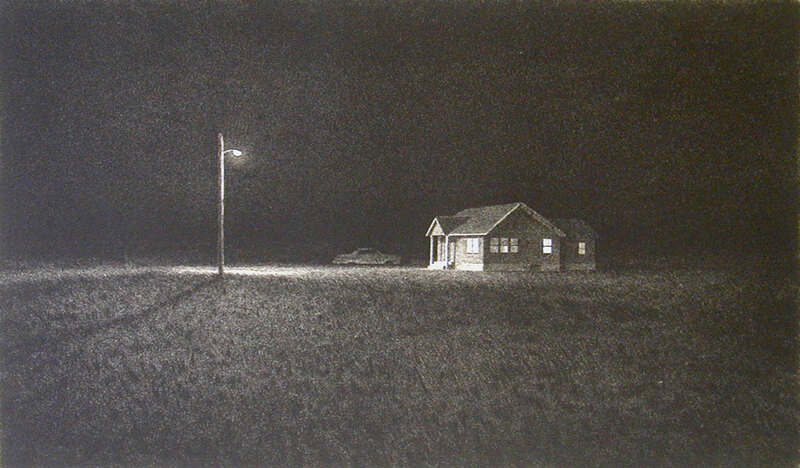 Lynch has exhibited his work at Groveland Gallery since 1979. 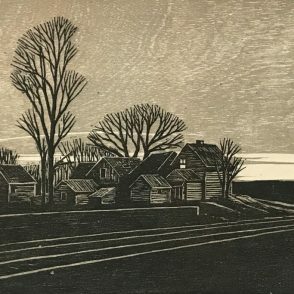 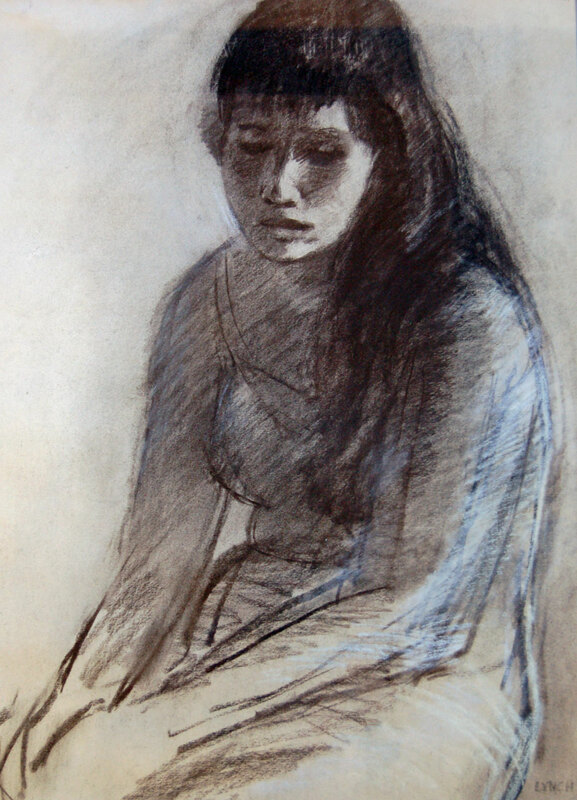 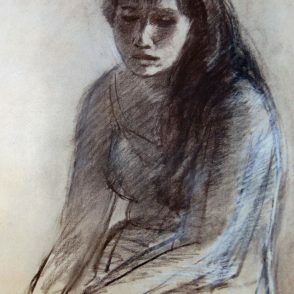 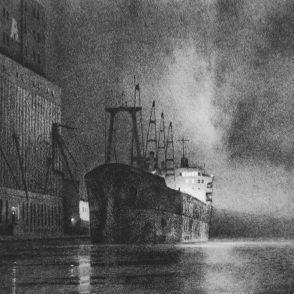 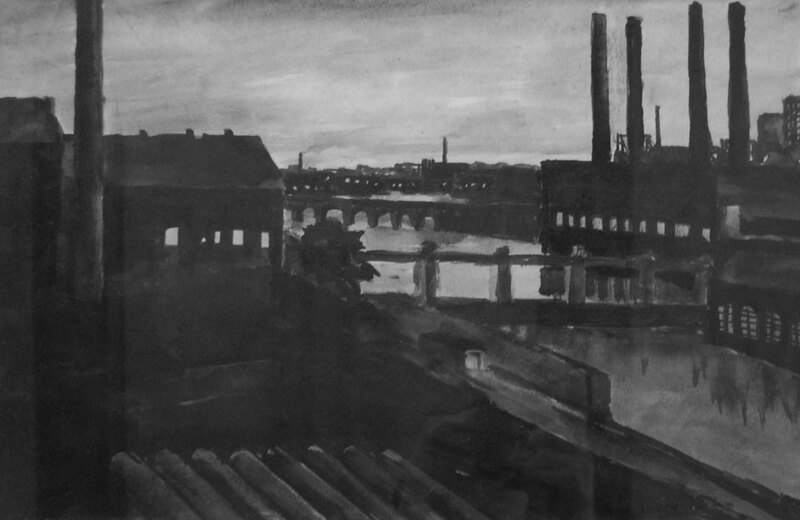 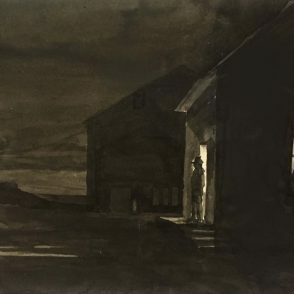 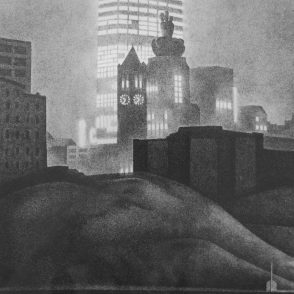 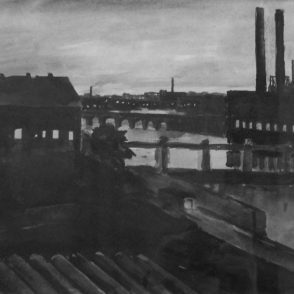 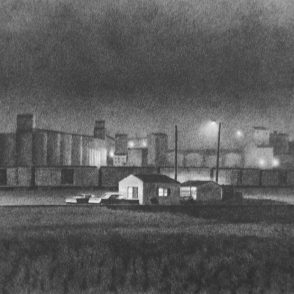 His work can be found in museum, corporate and private collections throughout the Midwest, including the Minnesota Historical Society, Minneapolis Institute of Arts, Walker Art Center, University of Minnesota, General Mills, the Minnesota Department of Revenue, Cargill, Minneapolis Federal Reserve and many more, too numerous to list. 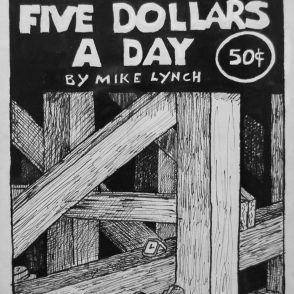 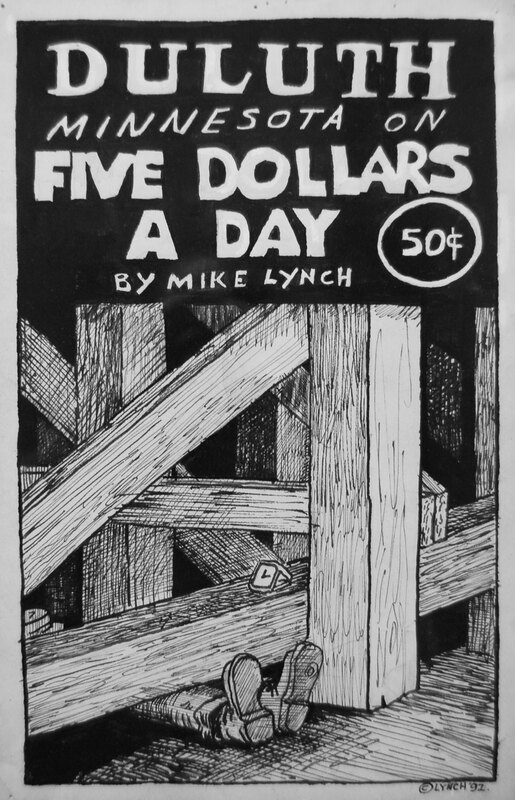 A quiet and unassuming manner has served Mike Lynch well. 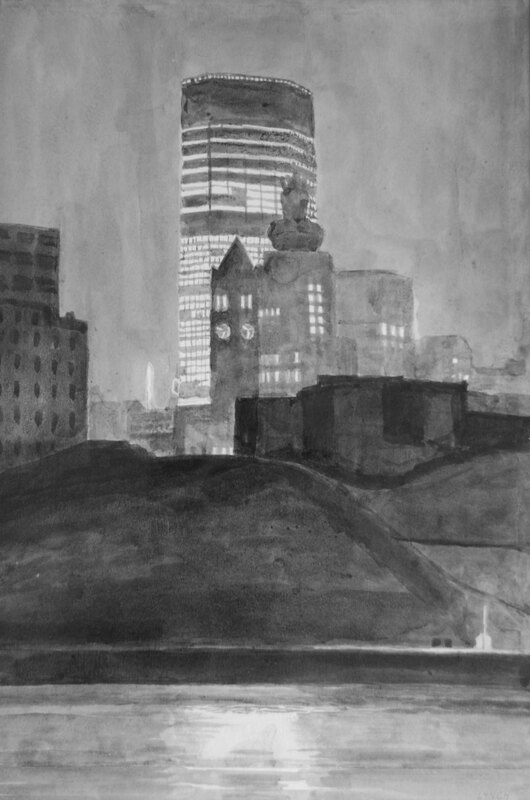 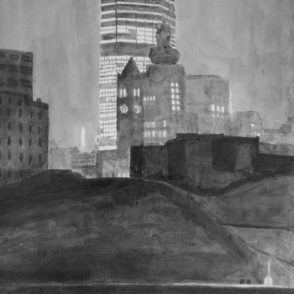 He has developed the ability to observe and synthesize the essence of a place without inserting himself into it. 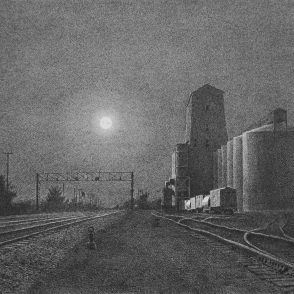 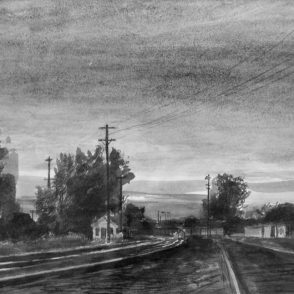 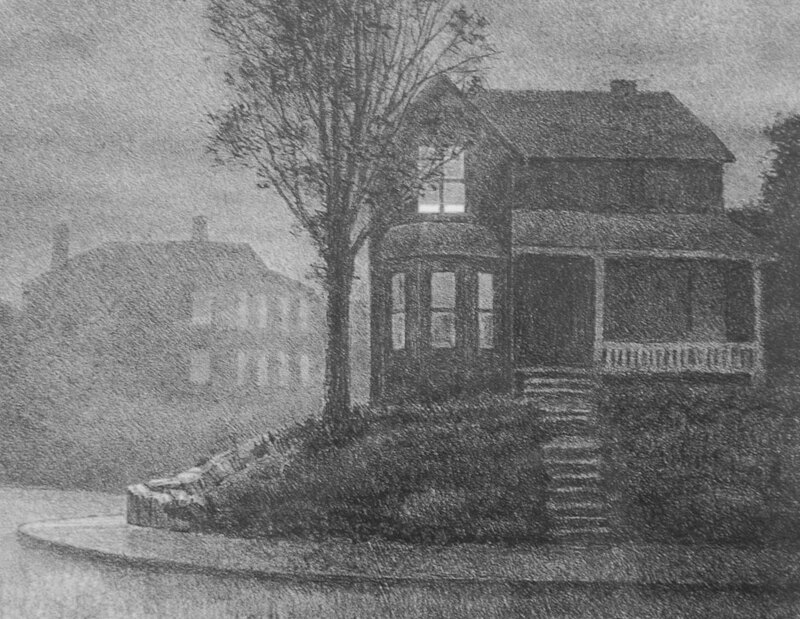 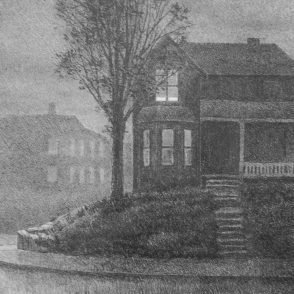 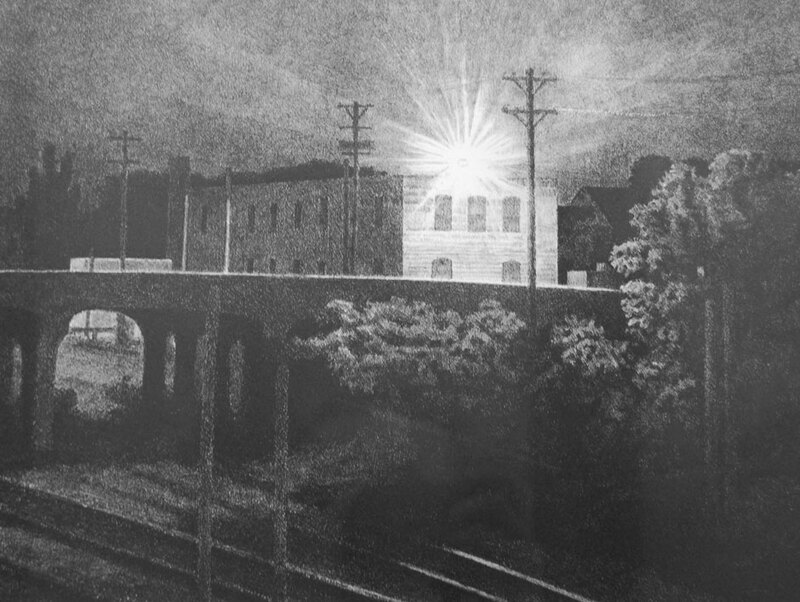 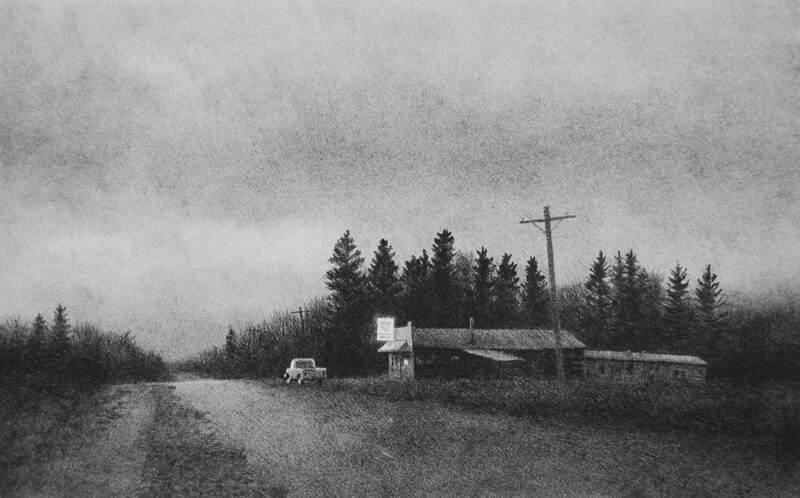 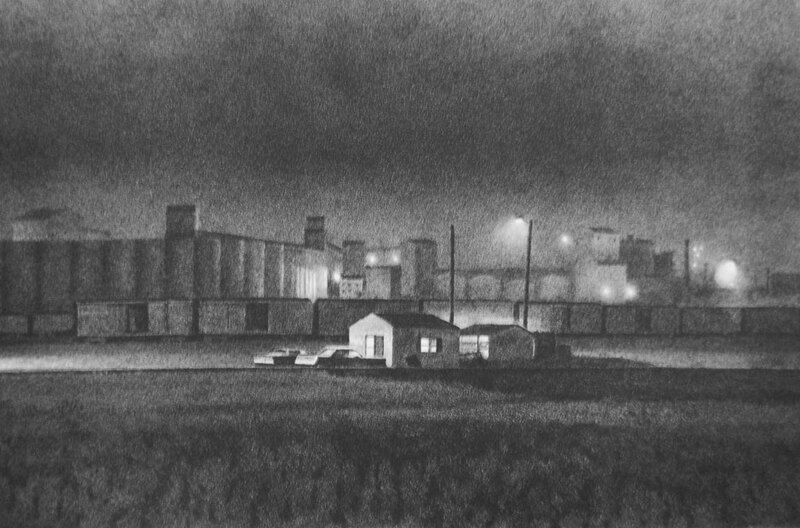 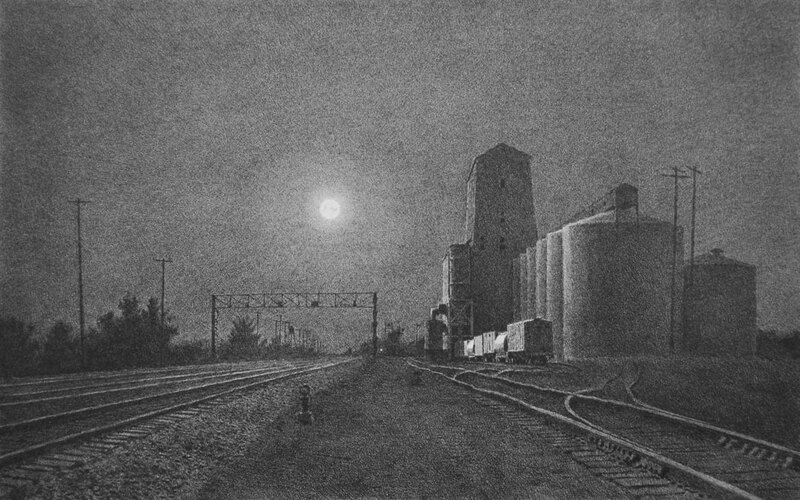 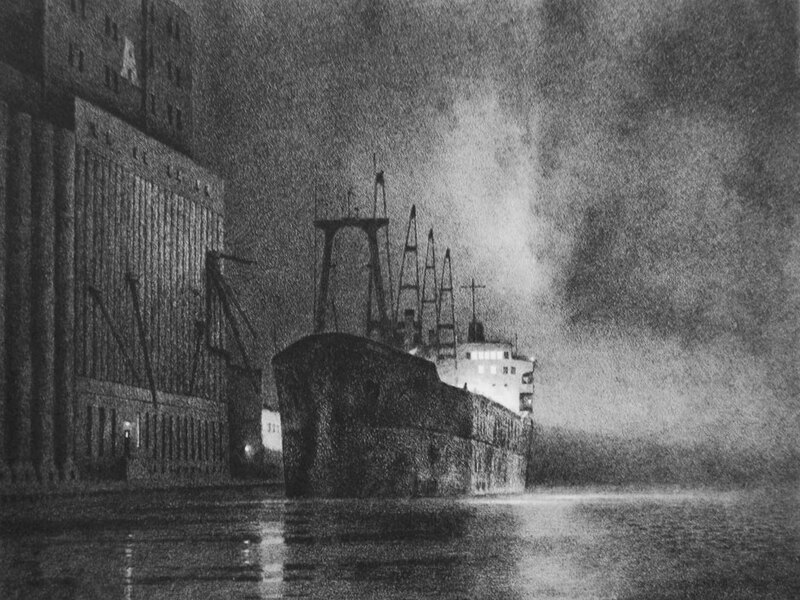 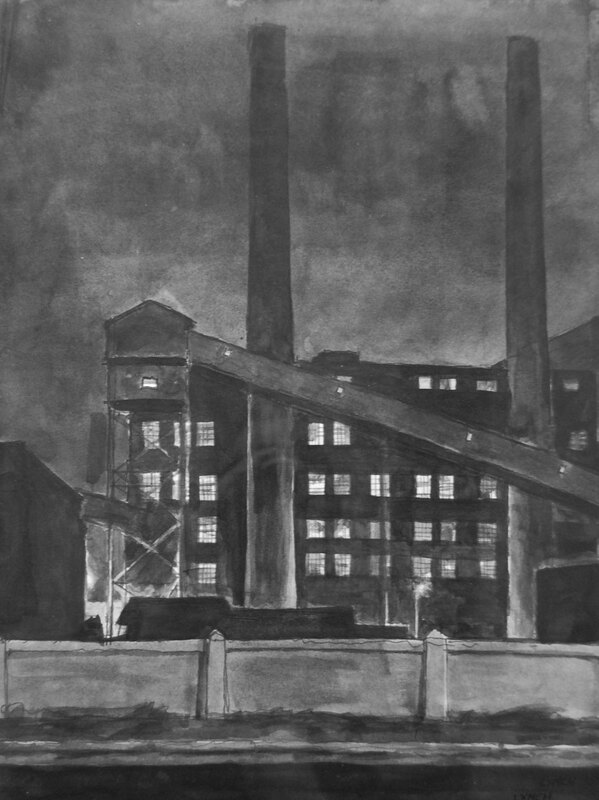 Lynch is well known for his contemporary realist portraits of the Midwestern landscapes. 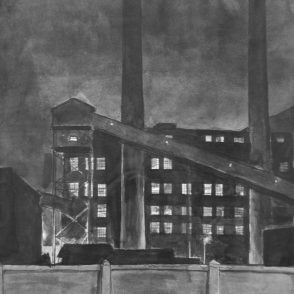 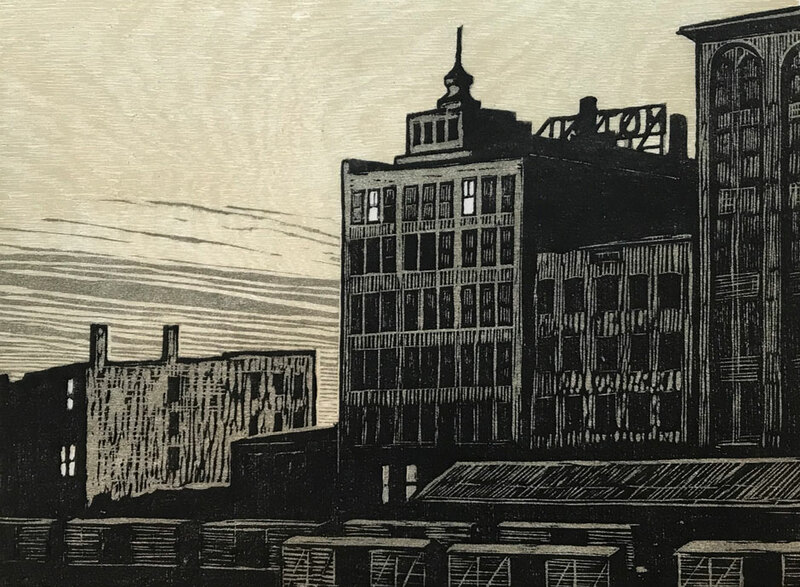 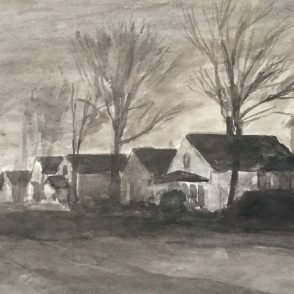 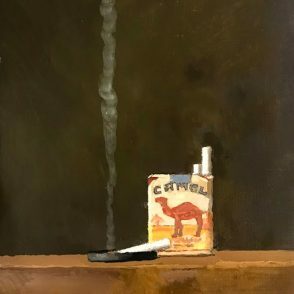 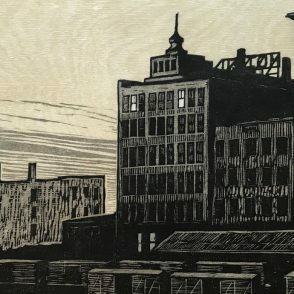 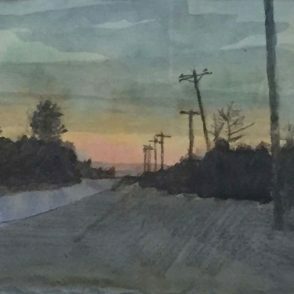 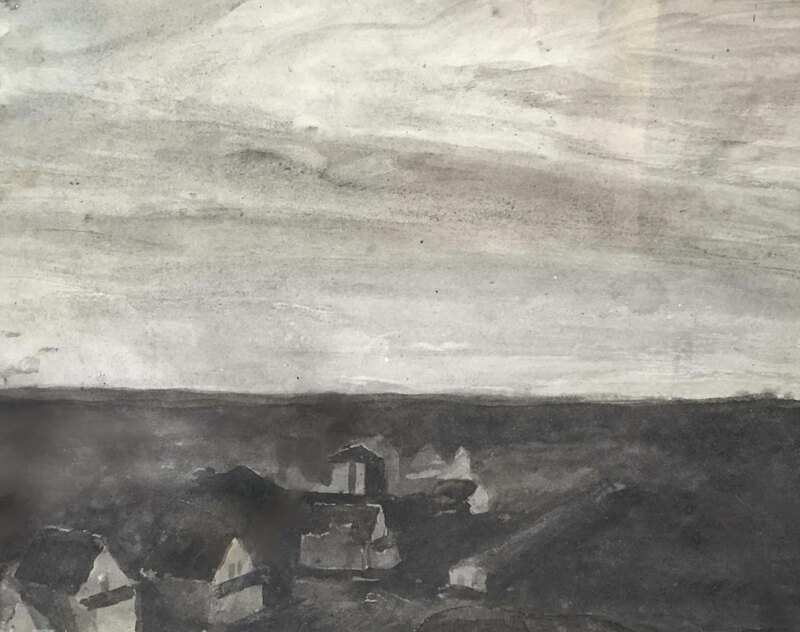 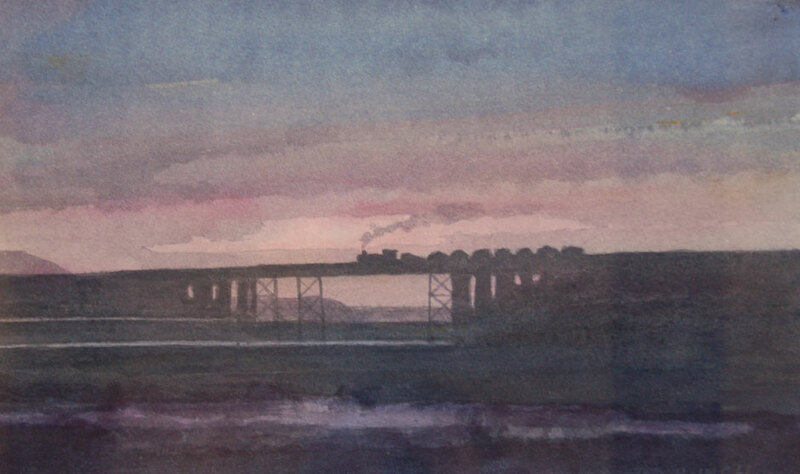 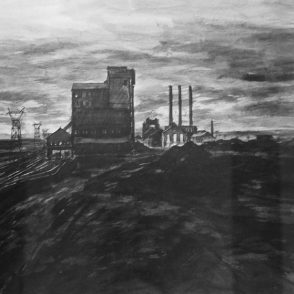 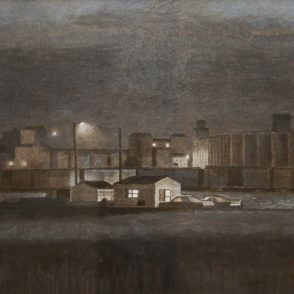 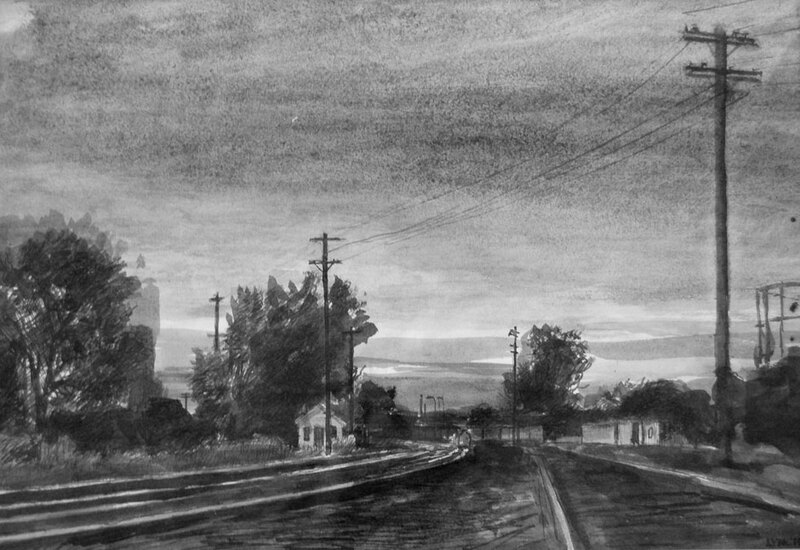 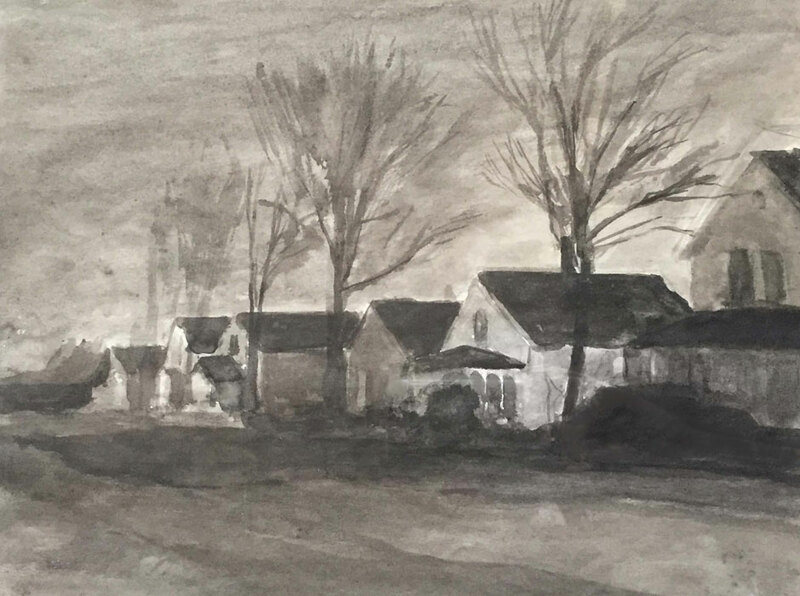 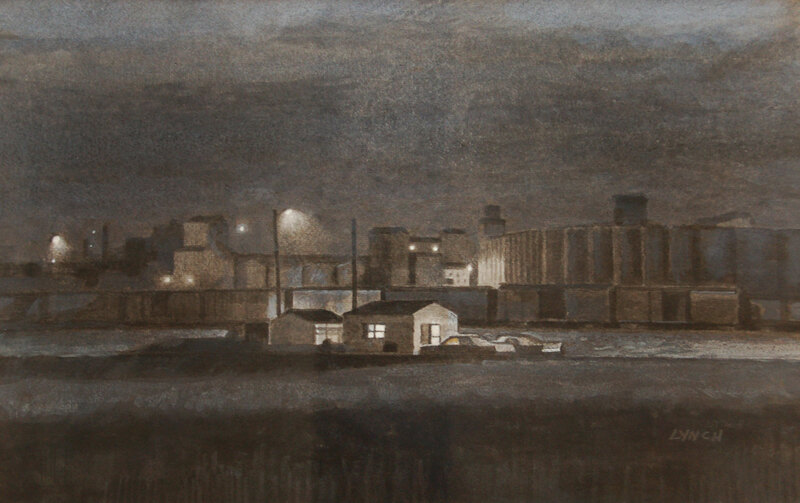 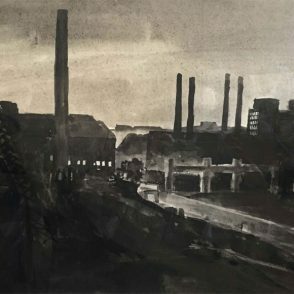 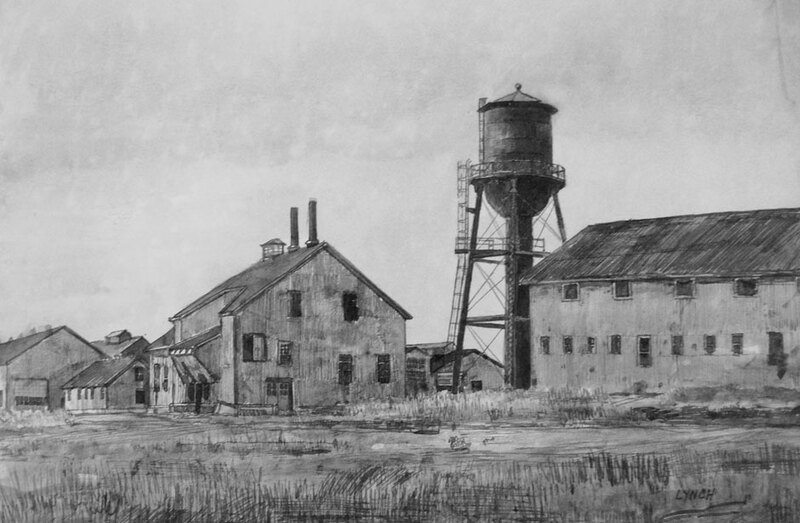 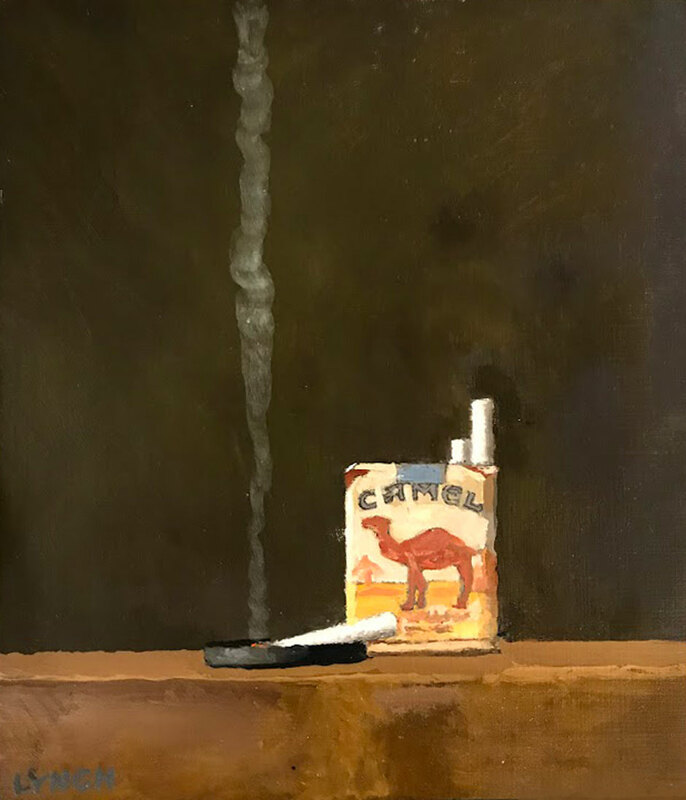 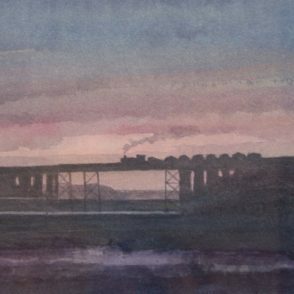 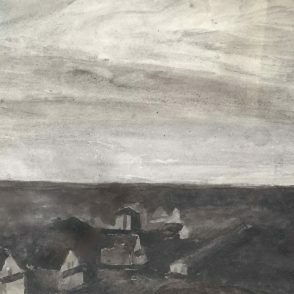 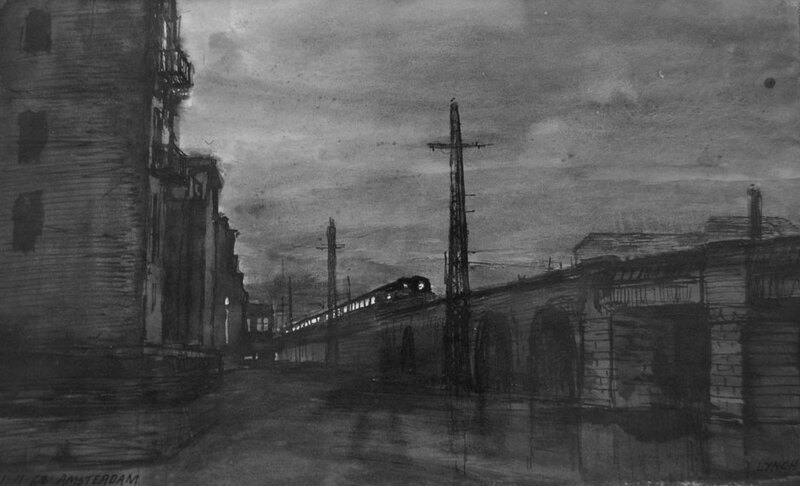 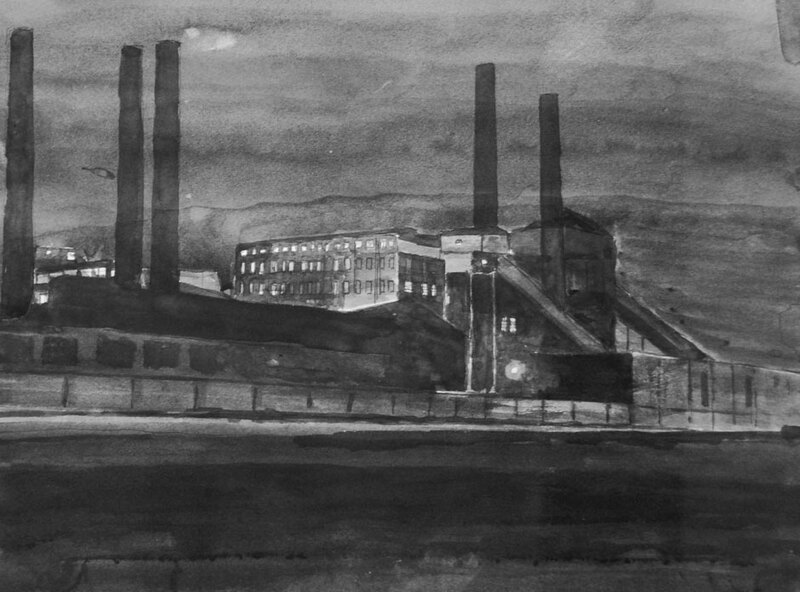 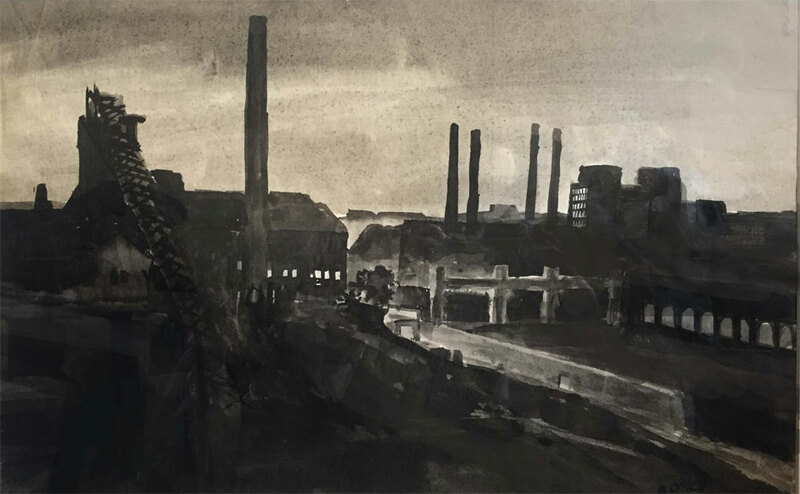 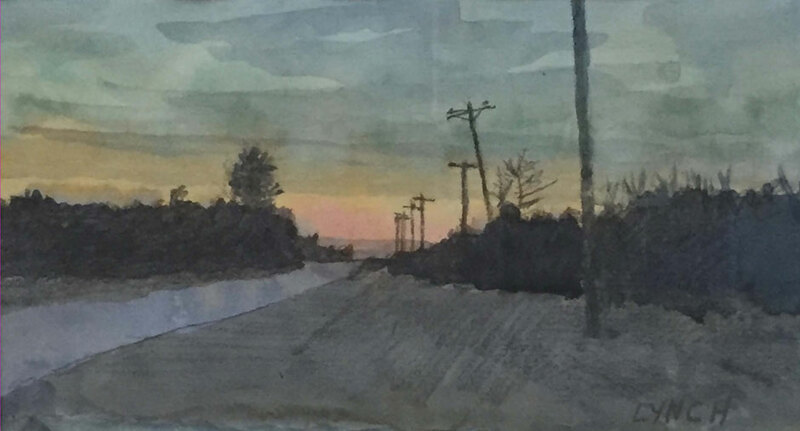 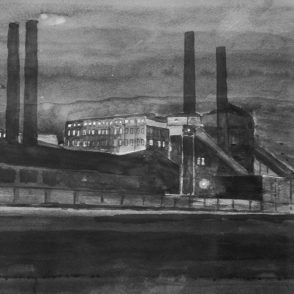 He paints the small town corner bar, abandoned grain elevators, illuminated factories and the twilight railyards found across our state from the Iron Range, to Duluth, to Minneapolis and the towns in between that dot the prairie. 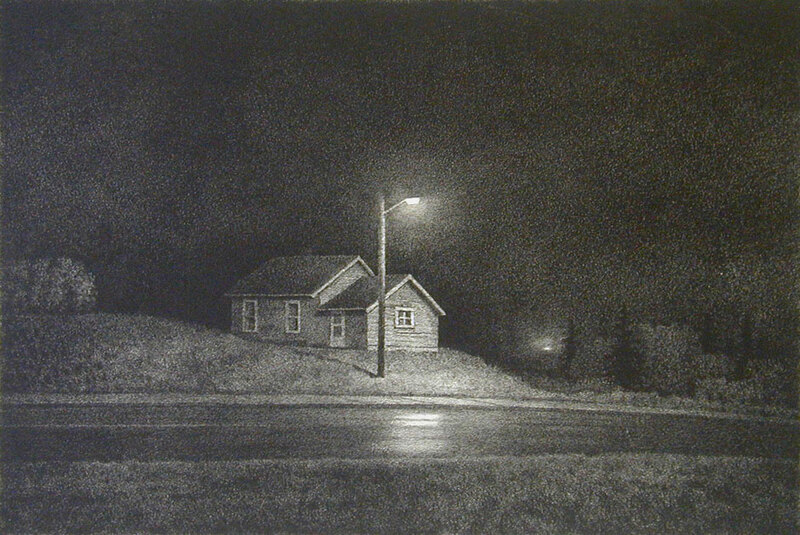 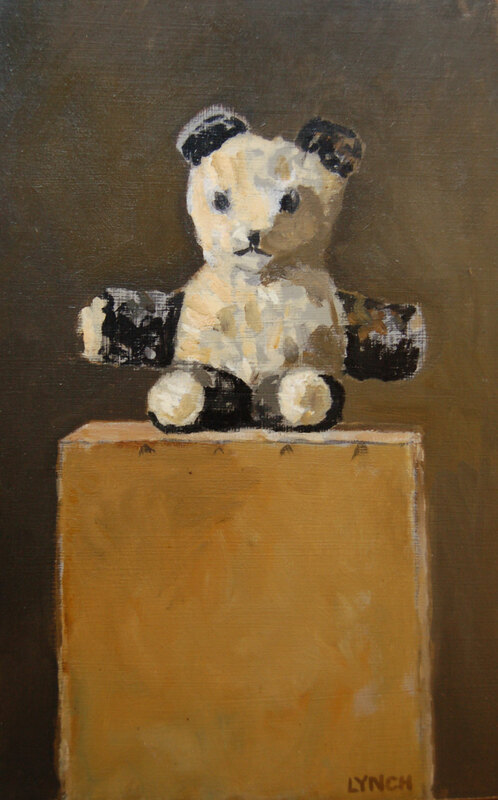 His subjects are represented in the quiet times of day – dusk, dawn, midnight and twilight. 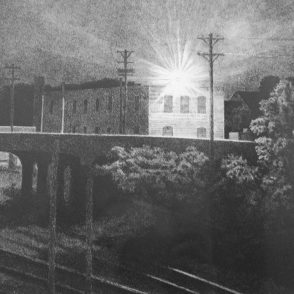 Lynch paints in the tradition of the American Scene Painters of the early 1900’s, he works on location and returns to paint day after day at the same time of day. 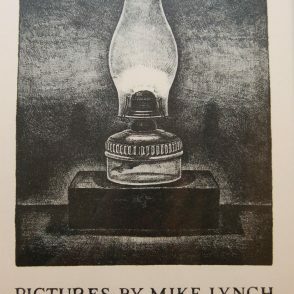 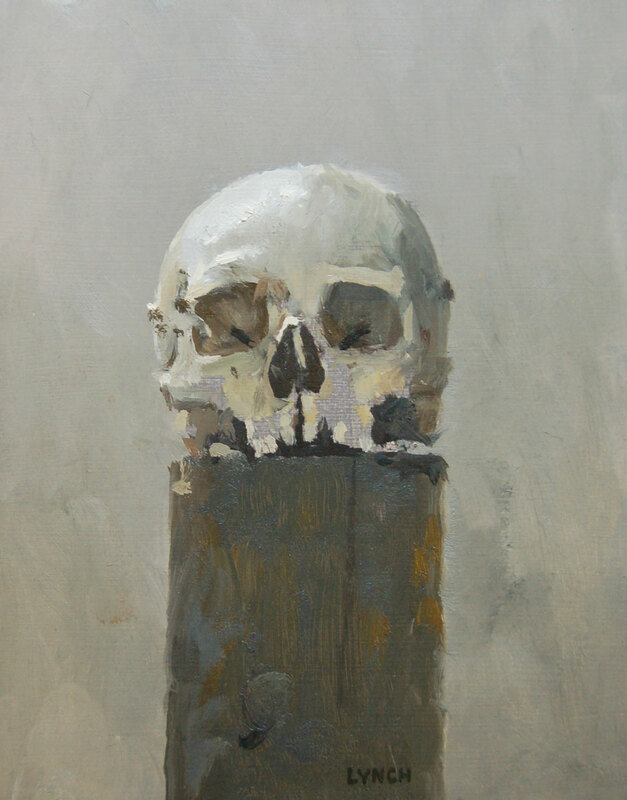 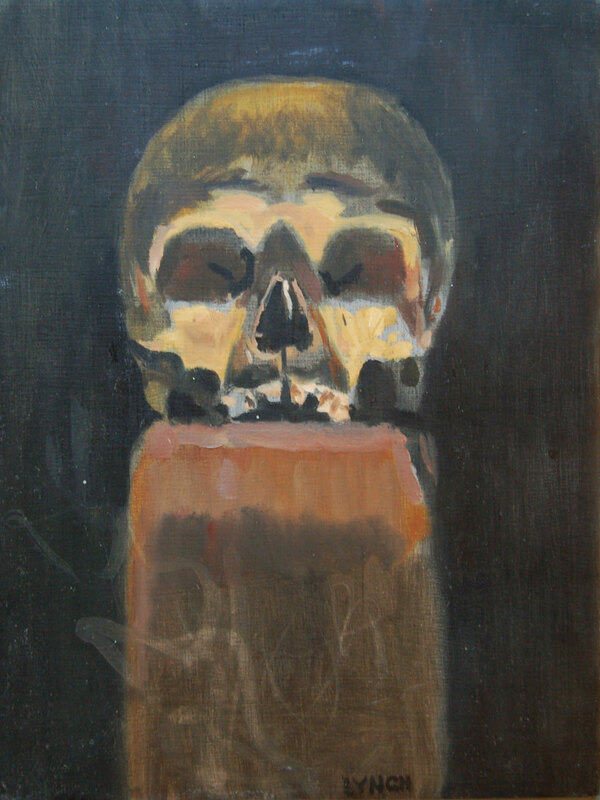 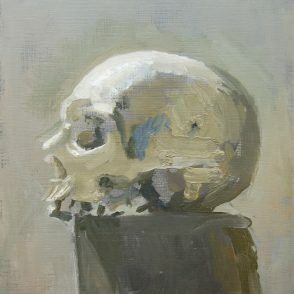 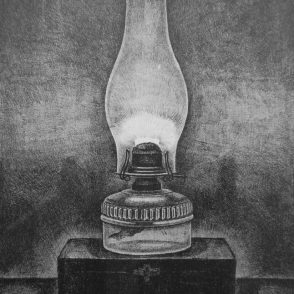 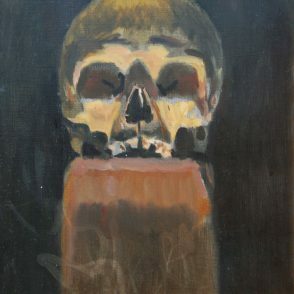 Also included in the exhibition will be several of Lynch’s still life paintings. 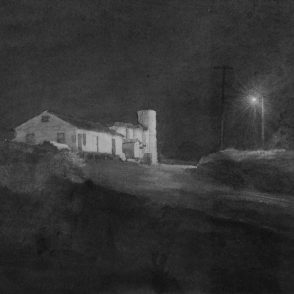 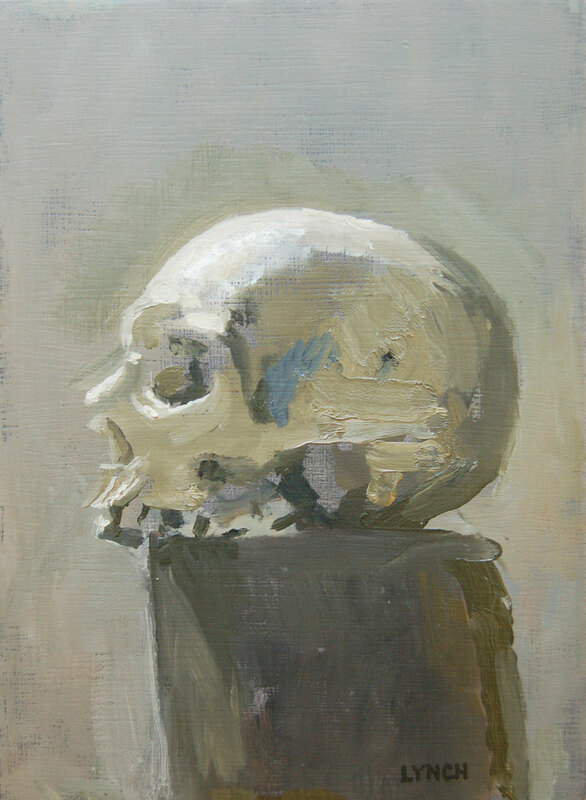 Humble subjects painted in half-light with a limited palette, these works evoke the same simplicity as his landscape paintings. 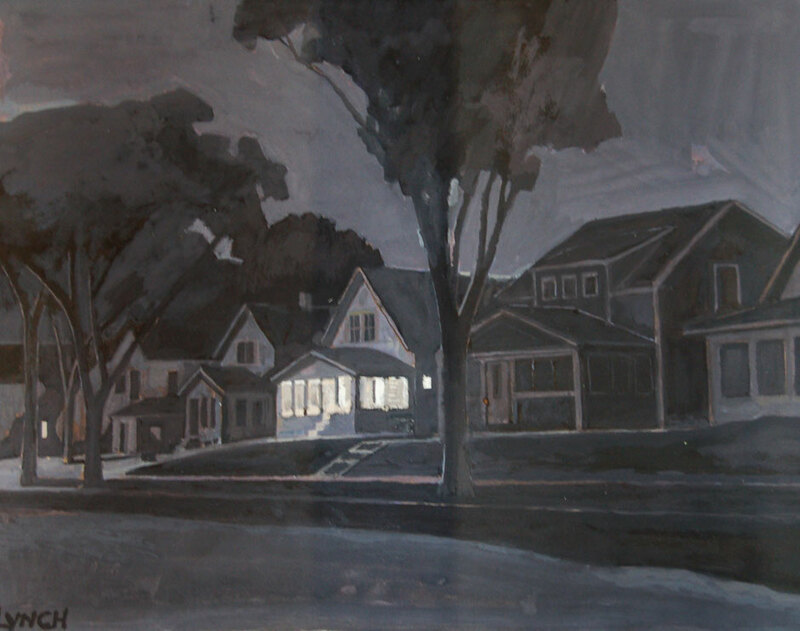 The artist will be present at the opening reception Saturday, January 20th from 2-5 pm. 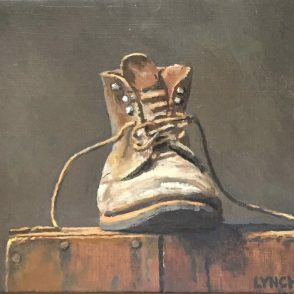 Pictures by Mike Lynch: 1955-2017 continues through March 3, 2018.